It’s time for another iBwave Feature Spotlight! In this piece, we’ll be looking at four key reports within iBwave’s network design software. No, these aren’t the type of reports you submit to a professor. These are automatically generated reports which can provide you with essential information when designing in-building networks. Here’s a scenario many businesses encounter: profits are booming, the client pool is growing, and now it’s time to expand to new markets. How do you balance that growth with maintaining your company’s reputation for excellence? These days wireless technology is evolving at an exponential rate. New tech trends and gadgets enter the wireless market all the time. So, if you are an industry professional, in today’s dynamic tech environment simply getting a certification and staying put is not enough. To succeed you need to stay informed about the latest and greatest in the wireless world and invest in constant professional growth. A nice way to stay on top of all the cool happenings in the wireless world is to follow leading industry professionals online, learn from their experiences and engage in discussions. What's iBwave Release 10 About? The newest release of iBwave Design 10 provides teams with everything they need in a software to design for new and emerging wireless technologies and tackle the challenge of designing for dense environments. It’s all about more and faster mobile data! For the past decade, a mobile carrier’s prime focus has been on cellular coverage improvements to provide traditional mobile services to their subscribers - i.e., voice, SMS, and data services - anywhere, anytime. As 80% of mobile sessions happen indoors, there has been a major push for massive deployments of active/passive DAS systems inside major venues like airports, stadiums, enterprise campuses and hospitality venues since the early 2010s. Do you know about iBwave's acclaimed Annual Maintenance and Support program? Among iBwave users, we are well known for the customer support we provide and the effort we put into listening to what our users' need and regularly delivering relevant and valuable product updates. Which is why the majority of our customers opt to participate in the iBwave Annual Maintenance and Support (AMS) program. What is our AMS program? AMS is a wide range of support services and resources that will help our customers get the most out of their investment in iBwave software and fast track their wireless designs. Here is how AMS will get you there. Over the last many months, we've been hard at work here at iBwave getting the next release of our various in-building wireless network design solutions ready to go. And we are delirious with excitement to let our customers, and the rest of the world, know that the newest release of our solutions are here. With iBwave R9 about to launch in the coming weeks, we’ve slowly been hinting at some of the features that will be included. This week, we’re here to talk about the new multi-radio/software selectable radio support that will be included in the R9 of iBwave Wi-Fi. One of the most recognizable features of any iBwave network design software is the 3D modeling capabilities within it. And while the 3D aspect of the software looks great and helps many of our customers to impress their own customers in the bid process, the 3D modeling capabilities are about much more than just looking impressive. It’s part of our dedication to providing our customers with the best software to accurately predict network performance. Given our ever-growing need for data in today’s world of smart cities, smart buildings and the Internet of Things, the need for fast, reliable connectivity indoors has never been greater. Especially when it comes to the Enterprise. 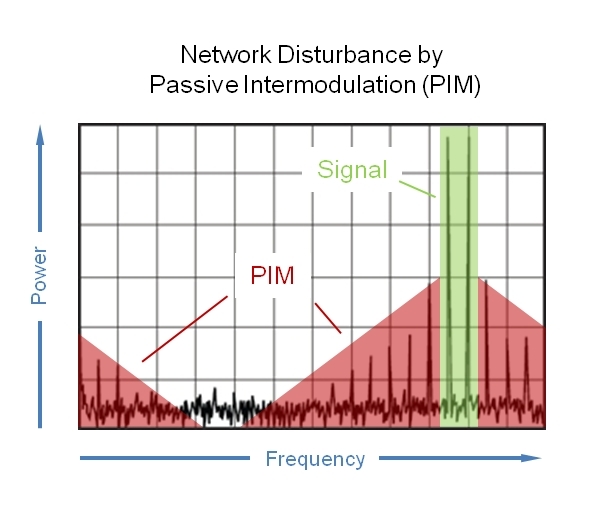 There are many things that can throw off the results of a network’s performance prediction during the design phase of a wireless network deployment. Anything from setting the scale a little bit incorrectly, to using the wrong wall material type, to not knowing what is behind the venue's walls that may impact signal loss, to using flat surfaces where there are incline surfaces – and the list goes on and on. Needless to say, accurately predicting the performance of a network before it goes live, can be hard to do because so many different factors impact it. Modeling with Incline Surfaces vs. Modeling Without: What's the Impact? One of the key benefits that set us apart from cellular & Wi-Fi network planning and design software is the ability to model incline surfaces. But why is this such a benefit? In this blog, I take a look at the value of being able to model incline surfaces by diving into a mini-case study of a subway tunnel Wi-Fi network design showing the prediction results of a subway station using just a flat model, versus the prediction of the same subway using a model with incline surfaces. In it, you will see what a difference incline surfaces can make—both in performance and in cost. In May 2017 we went on a whirl wind of a User Group tour that took us to three different cities across the United States: New York, Dallas, and Newport Beach. In each user group we always like to hear from our users – what they are up to, the challenges they see out there in the field, and of course to share any stories and insights they have from all of that. 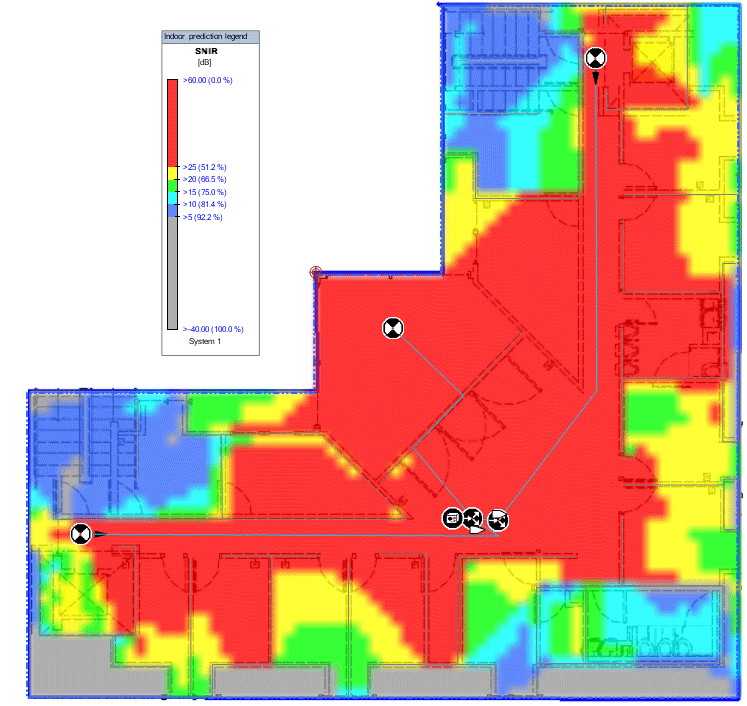 What reports do you find the most valuable when designing wireless networks? Documentation is a crucial part of most in-building wireless network design projects. So it makes sense then that one of the capabilities our customers tend to really like in iBwave products are the reports that come with it, the ease with which you can generate them and the different formats that they come in. One of the features that always catches people’s eye when they see our software is the incredible 3D modeling that comes with it. I was just thinking the other day how it’s been a year now since we launched iBwave Wi-Fi, and what a fun and exceptional journey it has been. From our very first Wi-Fi event (for me that was CWNP conference in San Franciso), to getting to know those in the Wi-Fi community, to the exciting product releases we’ve had since, to where we are now. Ever been frustrated trying to share files with someone working on the same wireless network design project as you? Or ever found that even once you get the files, information is missing or incorrect? Ever made this face trying to collaborate with someone on a project? NCR is a leader in omni-channel solutions, turning everyday interactions with businesses into exceptional experiences. With its software,hardware, and portfolio of services, NCR enables more than 650 million transactions daily across retail, financial, travel, hospitality, telecom and technology, and small business.Utilizing NCR’s team of 17,000 service professionals, NCR Telecom & Technology(T&T) provides comprehensive services solutions encompassing consulting,field services, and remote management to the top telecommunications service providers and network equipment manufacturers across the globe. While we have a very large database of network components (over 25,000 and counting! ), we know that parts are not always you need them when you design networks, and that maybe we are missing an AP, or switch, or router, or two that is new or just has not been added. DAS vs. Wi-Fi Network Design: What are the Differences? With the launch of iBwave Wi-Fi in March of last year, you've probably noticed we’ve been a lot more focused on Wi-Fi network design than in the past. And as part of that journey, some iBwavers have embarked on the CWNP certification journey – with our Director of Research, Vladan Jevromovic, receiving his CWNA certification last November. *applause* . To the women in wireless, and to all women around the world, Happy International Women’s Day! Tell me one thing: Where’s the value? As we march on with the continued development of our excellent Unity solution, there is one question that keeps coming up from customers: Where’s the value in your solution? It’s a standard question posed by any customer – and by the marketing and sales teams – because they want to know why anyone should shell out their capital for something that isn’t always tangible at first blush. Value isn’t easily defined, but equally importantly, defining value is a misleading question to ask. When is a button much more than something you can click with a mouse on a user interface (or something that keeps both sides of your dress shirt working together)? The answer is simple. 3, 2, 1… Launch Unity! We just launched a totally redesigned product – Unity. I can’t help but think of that old marketing cliche “New & Improved” and the implied logical contradiction (how can something be both ‘new’ and ‘improved’ – it’s either / or). Yet this is one case where I have to say Unity is both new and improved. And it wasn’t an easy feat to pull off. When I think of software, I often think of my dad. Despite being close to 80, he is well acquainted with software and hardware as he has been using mobile and smartphones, PCs and laptops for 20 years now. He even got an iPad and loves it. But he hates the rapid pace of change and the raft of new functionality and new designs that each successive wave of development brings. To get him to adopt a new UI or process, or a new piece of hardware is like pulling teeth. 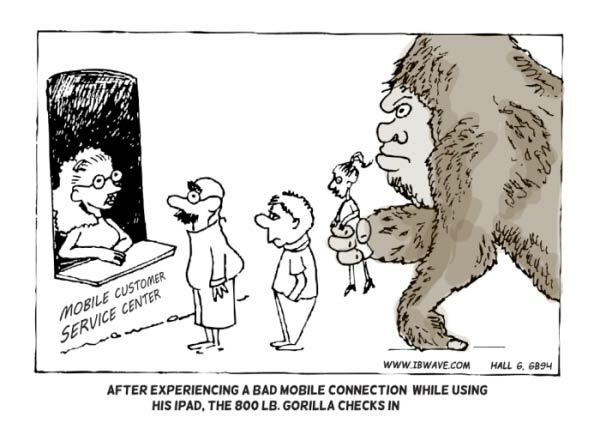 Weekly Wireless Joke: What happens when you go out with an RF Engineer? 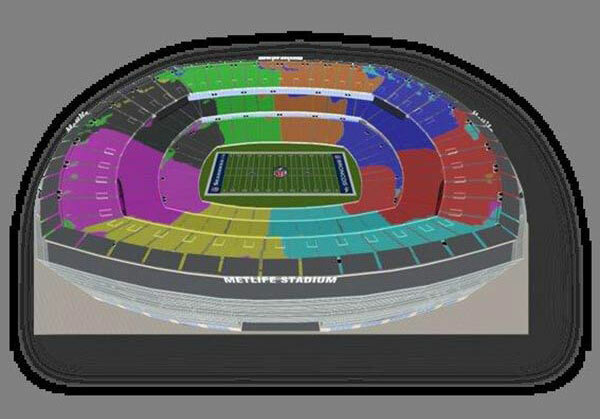 As you know, it’s extremely challenging to provide a completely connected experience for thousands of fans packed into a stadium. So you can imagine the effort it took to upgrade the University of Phoenix stadium for this year’s Big Game. But 12.79TB* of data later, we know it was a record breaking success. As members of the Small Cell Forum, iBwave has contributed to the acceleration in adoption of small cells within a variety of environments. Therefore, we are excited for this latest release from the Small Cell Forum, which focuses on rural and remote small cell deployment. 2014 was once again a year marked with success for iBwave. After 14 seminars, including 2 in Mexico City and Lima, our team finished strong with a visit to Chile’s capital – and fifth largest city in South America: Santiago! Through its award-winning Mobile Planner platform, iBwave has developed a market enabler that uses mobile devices to facilitate RF data collection, network planning, documentation and other tasks done in the field, making it possible for complete small cells and Wi-Fi network designs to be created on-site. A través de Mobile Planner, iBwave ha desarrollado un facilitador de mercado que utiliza dispositivos móviles para hacer más sencilla la recolección de datos RF, la planificación de red, la documentación y la realización de otras tareas en el campo, haciendo así posible la creación completa de diseños de small cells y redes Wi-Fi in-situ. iBwave might be celebrating its 10-year anniversary but it has nevertheless experienced a series of exciting firsts this year. The wireless world might be fast-paced but it is also A LOT OF FUN and let’s be honest, nothing is more gratifying that to know that your technology can have a significant impact in the way people interact in their everyday life. Innovation and customer centricity have always been at the core of our strategy, and we at iBwave pride ourselves in challenging the status quo. This is reflected in the way we work, in the wide range of products and services that we introduce to the market and it’s also what ultimately led us to make some significant changes to our fourth Annual User Group. Hejdå Stockholm – Bonjour Paris! If you’ve been keeping up to date with Malmö’s music and cultural scenes, you’ve probably heard about Malmö Live: Malmö’s state-of-the-art conference, concert and hotel center that is due to open in the summer of 2015 and that will offer world-class acoustics and multiple stages for Malmö Symphony Orchestra. But did you know that iBwave was a key player in the project? If there is no denying that our industry is evolving very rapidly, one thing has nonetheless remained constant over the years – the legendary hospitality and friendliness that one can expect from the Latin America wireless ecosystem. So it is hard to believe that two years had already gone by since our first seminar in Mexico City which, despite the 7.4 magnitude earthquake that struck off the country at the time of our visit, turned out to be extremely productive and enjoyable. Si bien no podemos negar que nuestra industria ha evolucionado rápidamente, hay algo que ha permanecido constante a través de los años – la legendaria hospitalidad y amistad que uno puede esperar del ecosistema inalámbrico de Latinoamérica. Por eso mismo, es difícil creer que ya han pasado dos años desde nuestro primer seminario en la Ciudad de México, el cual, a pesar del terremoto de intensidad 7,4 que azotó al país durante nuestra visita, resultó ser altamente productivo y agradable. Just the right amount of Vegas… A night to remember! So, our 2014 annual party in Las Vegas is now officially over and one thing that we can say for sure is that we had a ton of fun! We hope you enjoyed it too! As is often the case, the return of the warm, sunny days of summer signals the beginning of the tradeshow season, and what better way to kick it off than with a trip to the “City Beautiful” (aka Orlando, Florida)? All the ingredients united for a perfect CommunicAsia cocktail! The Asia Pacific market has been very active, and so have we! After the extremely productive Small Cells Asia Summit last April and the equally successful iBwave In-Building Seminar that followed, we decided to once again return to Singapore which, this time, was playing host to CommunicAsia 2014.
Who says that you have to be indoors to talk about in-building connectivity? 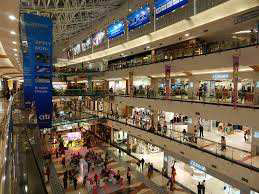 The Philippines indoor wireless market has been growing tremendously in recent months with the country’s major operators racing to get LTE service to major urban areas by the end of 2014. 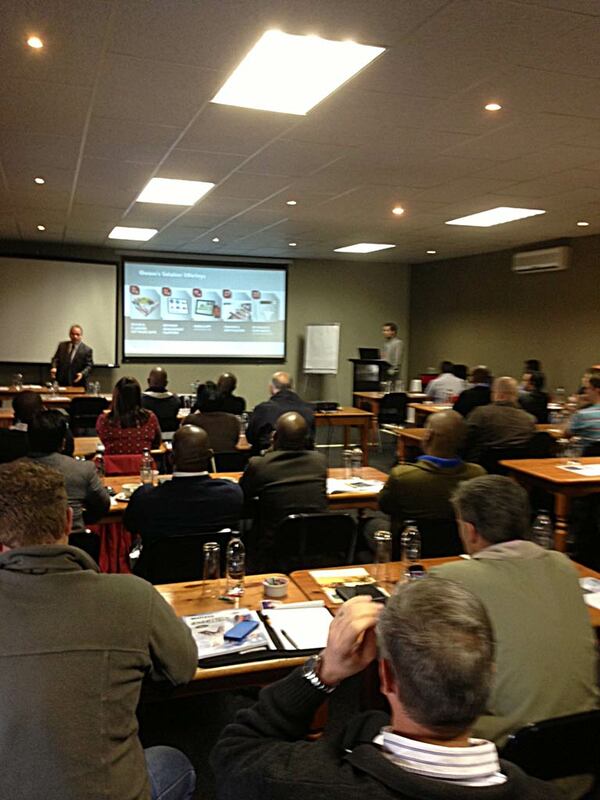 This, paired with our growing customer base in the region made it a necessary stop on our 2014 seminars tour. Small cell technology has been a hot topic for the past few years. There is virtually unanimous agreement among industry experts that this is the wave of the future for the wireless industry. 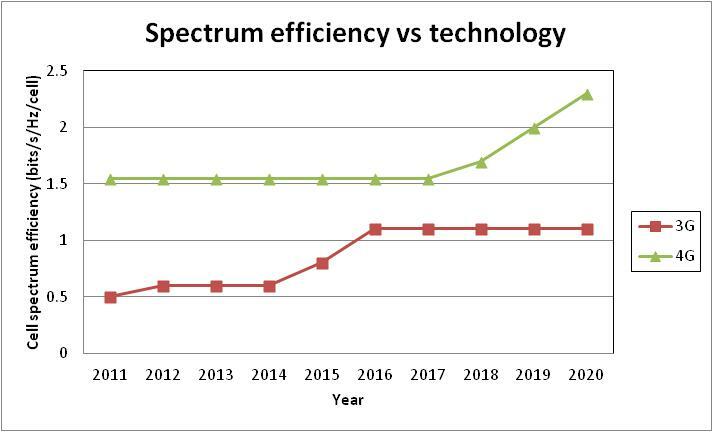 AT&T’s forecast, for example, predicts that in 2014, small cell deployments will outnumber distributed antenna system (DAS) deployments by a 40-to-1 ratio. Figure 1 presents a relative comparison of small cell growth over other options for managing the predicted data onslaught. All this points to a bright future for small cells, but there are technical challenges that must be faced in order to implement large-scale, small cell integration into 4G mobile networks. Fortunately, technological advancements, such as heterogeneous networks (HetNets) and self-organizing networks (SONs), will enable universal small cell deployments. 3 speakers, 3 countries in 3 consecutive days but 1 main topic on their minds! We're always looking for interesting videos showing our customers at work. A shining example is this recent clip on KPN's wireless network at the Amsterdam Arena. VIDEO: iBwave Mobile Planner. Making Small Cell Network Design Simple. Did you ever think the day would come when you could plan and design small cell networks, right on-site, simply with your smartphone or tablet? We finally got a little break and were able to explore the show floor on day four. What we found was funny, crazy and even beautiful! MWC Day 3 – Meetings, More Meetings & our Biggest Industry Cocktail Yet! Day 3 has yet again been packed with meetings, making new friends, and getting together with truly amazing people from the industry. Day 2 has come and gone and it’s crazy to think MWC is already half over. As we get into the belly of the show, the meetings and demos are in full swing. Building an urban small cell future from the ground up. 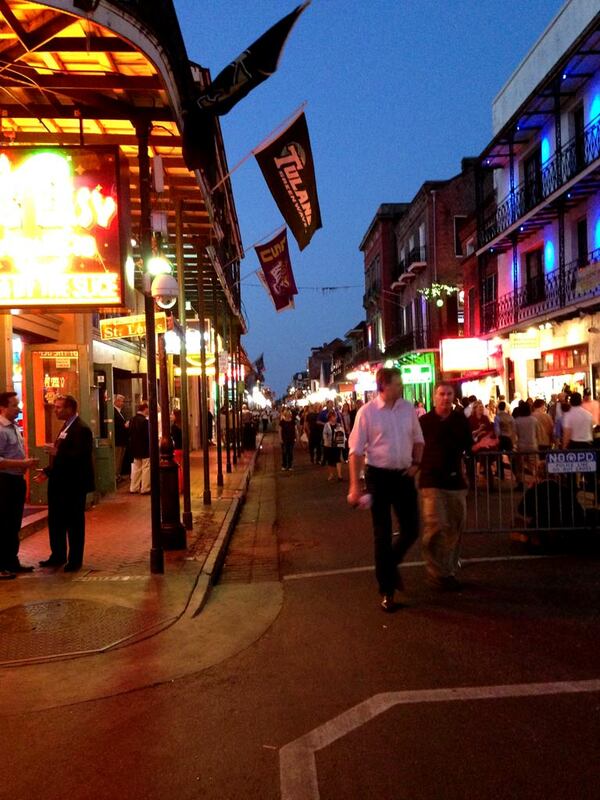 The arrival of Small Cell Forum’s Release Three: Urban Foundations is significant. This latest output of ten new and seven revised documents builds on the important work of earlier releases and introduces impressive and wide-ranging new material. It's that time of year again! 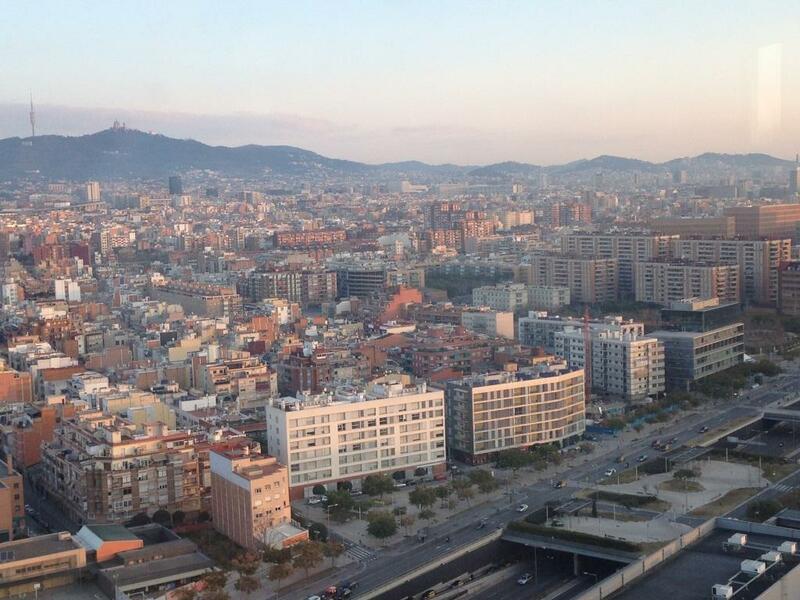 We made it to Barcelona and we're ready for a week light on sleep and heavy on announcements, innovation, meetings and new knowledge. Not to mention delicious Spanish wine and tapas. And what better way to get into a Barcelona state of mind, than to start the week off with a little photo tour of the city. 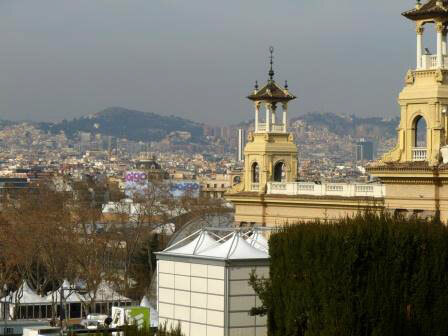 Small Cell Network Design: How to make it Simple – Learn more at MWC! NYC. Our biggest in-building seminar yet. 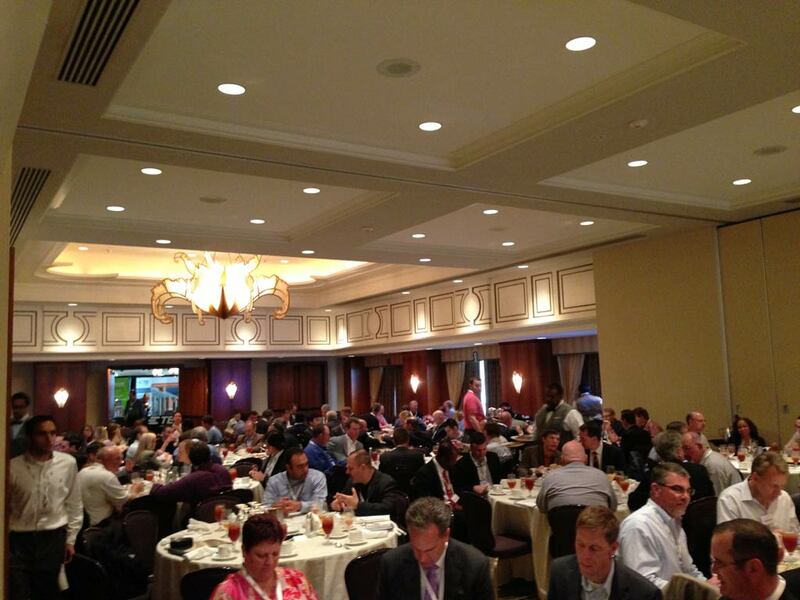 Q: How many in-building professionals does it take to discuss indoor wireless networks in the Big Apple? 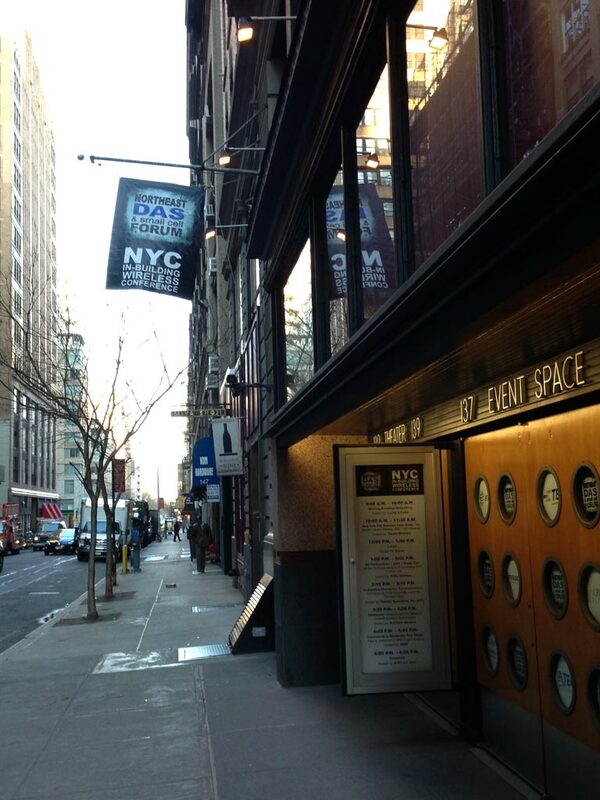 A: 80+ according to the count at our latest and greatest in-building seminar in NYC on Wednesday, February 12. Although the day is split into two tracks, a morning introductory track and an afternoon more advanced track, the theme of the day really focused around vertical markets, including architecture/real estate, hospitality, public safety and transportation. Speaking of public safety, here’s Scott with a clever shot while walking to the seminar. 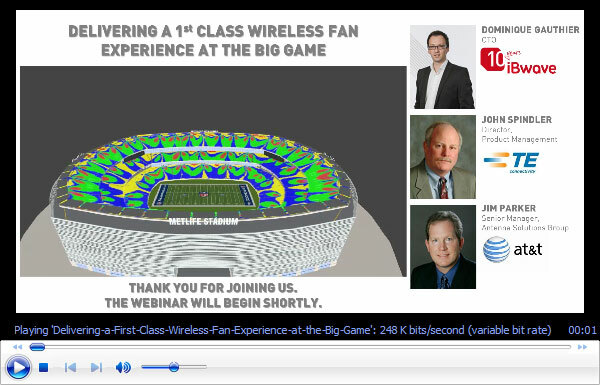 To the Wireless Network at MetLife Stadium: Ready or not, here comes the Big Game! Whether or not you’ll be watching the Big Game this Sunday directly from the MetLife Stadium (leave us a comment if you’ll be working there!) or, more likely, from the comfort of your living room, us in-building geeks will definitely be thinking about more than the final score throughout the pre-game, first kickoff, halftime show and winning goal. The major US operators and their subcontractors have been working tirelessly for months to ensure a 1st class wireless fan experience during the game but come game day, anything can happen. Remember the power outage at last year’s game? Season’s greetings to all of our blog followers! 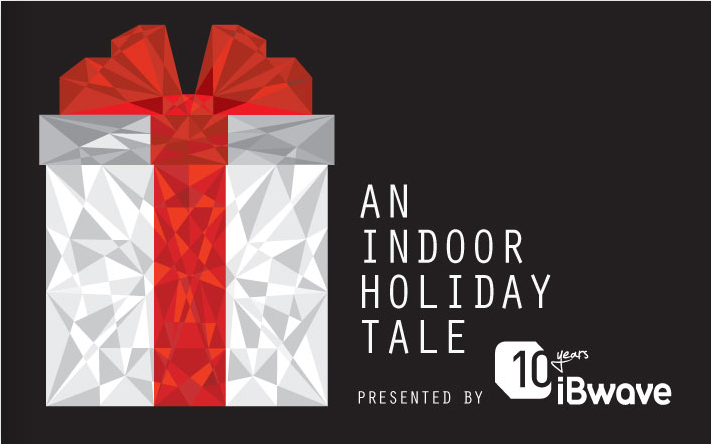 We have prepared an Indoor Holiday Tale just for you. Click on the image below to read it. Best wishes for the holiday season and a very happy New Year from the entire iBwave team. Today, iBwave is proud to celebrate ten years of in-building. In the past decade, the company has gone from being a two-man operation offering a single product to having employees all over the world and more than 500 customers in 80 countries as well as offering a well-rounded product suite. 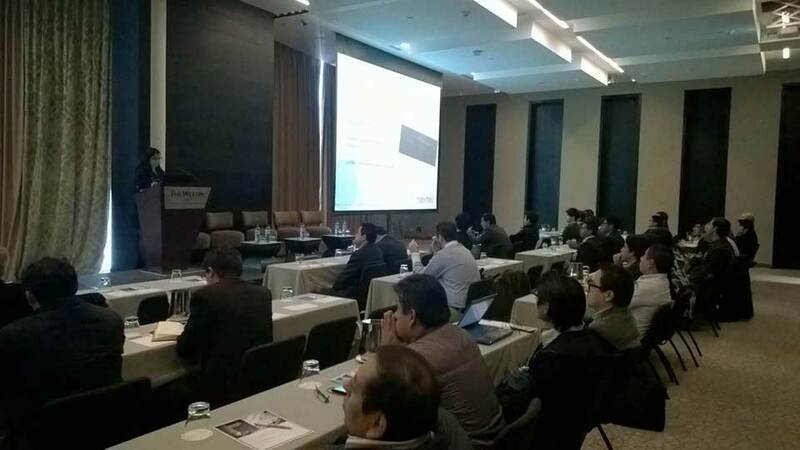 iBwave was in India this week for the India Telecoms trade show as well as a very successful first in-building seminar, held in New Delhi on December 4. The seminar was held at the beautiful Oberoi Gurgaon Hotel. The service was exceptional as staff were ready to serve our guests with fresh baking as they arrived. The Small Cell Forum has launched Release Two: Enterprise – a major technical and business case release to help operators unlock the commercial potential of small cell deployments in the enterprise. Based on the requirements of its operator members, the Small Cell Forum – the only independent operator & industry organisation supporting small cell deployment worldwide – has produced a comprehensive package including 25 new or completely revised documents to help overcome barriers to small cell deployment in the enterprise. In light of our recent in-building seminar in Buenos Aires, Argentina, we thought we’d share some of the market intelligence we gathered in the region. Enjoy! 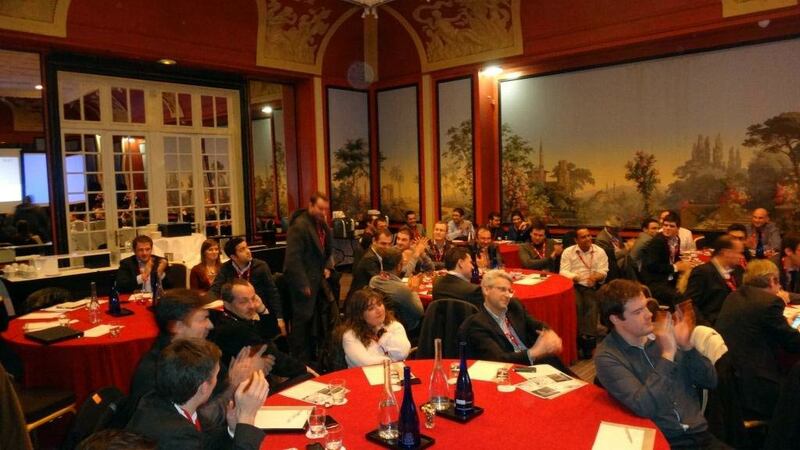 ¡ It took 50 to tango at our in-building seminar in Buenos Aires ! Buenos dias from Buenos Aires! 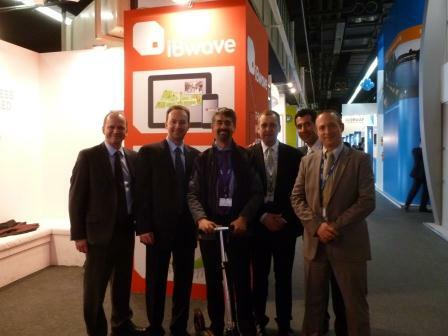 The iBwave CALA team was enthusiastic for another Futurecom, after experiencing a highly successful show last year. What was less expected was the security threat level in Rio as our team arrived on the very same day that Brazil was auctioning the exploration rights for the Libra oil field. What more? 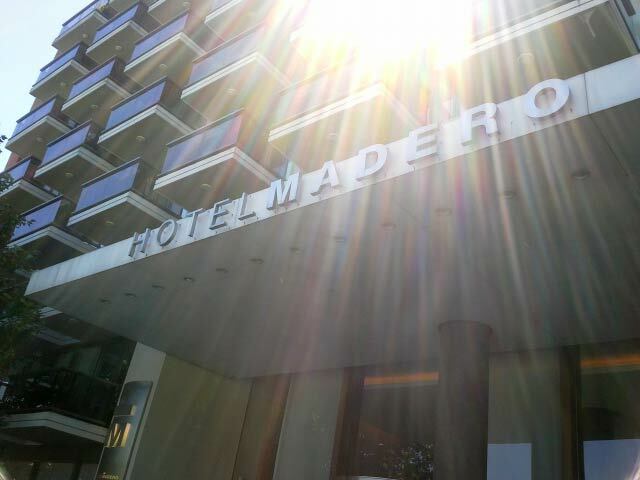 We were staying at the same hotel as the government officials conducting Libra’s oil exploration auction, implying we had to sneak in through the back door of the hotel to avoid riot squads. Our brave CALA Sales Manager, Espy Hughes-Johnson, still managed to sneak in a photo with the riot squad later in the day though. 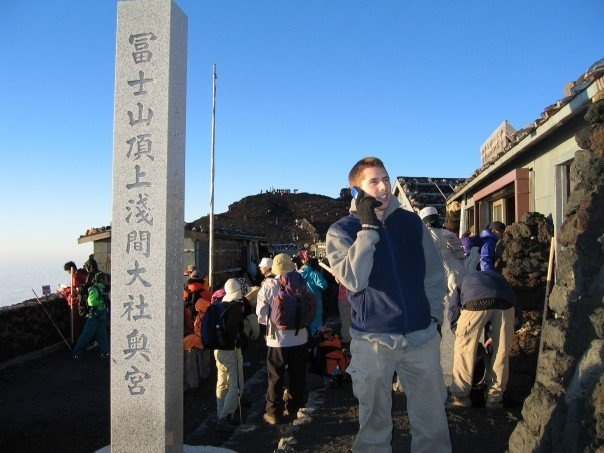 At Axell Wireless, we work with customers all over the world, in such a huge variety of different environments and scenarios. But there is one thing that unites all of our projects: the importance of good wireless network design. After all, what is the point in deploying equipment that is world-leading, if the network design doesn’t stack up? 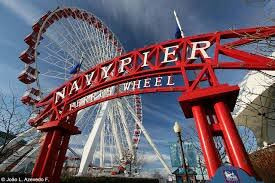 Fall is always a busy season for trade shows, conferences and other industry events. We have back to back events in October – the highlights of which will all be posted here. 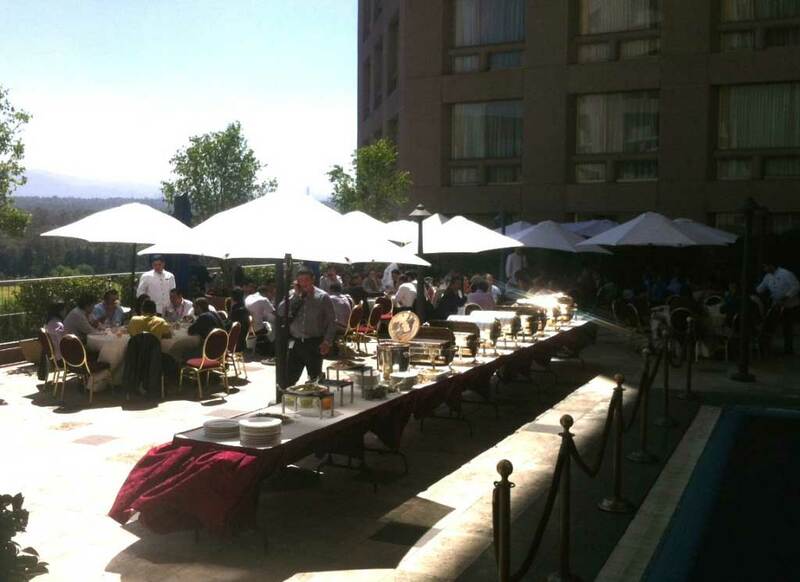 What better way to end a great fiscal year than to host over 50 in-building professionals in sunny Southern California? And who better to join the Western U.S. team in order to help receive these 50+ guests than iBwave’s two charming co-founders, Mario Bouchard and Dominique Gauthier? Tune in as Seth Buechley, President at SOLiD Technologies and Ted Erb, a consultant for the Bellevue Washington Fire Department discuss the importance and implications of optimal public safety communication networks inside buildings. 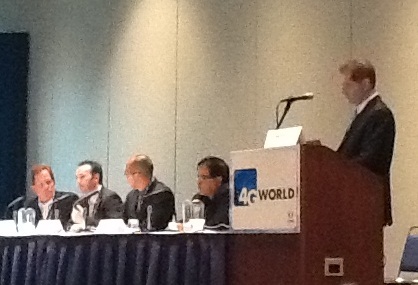 The windy city was better described as the rainy city as it played host to an iBwave in-building seminar on August 22. 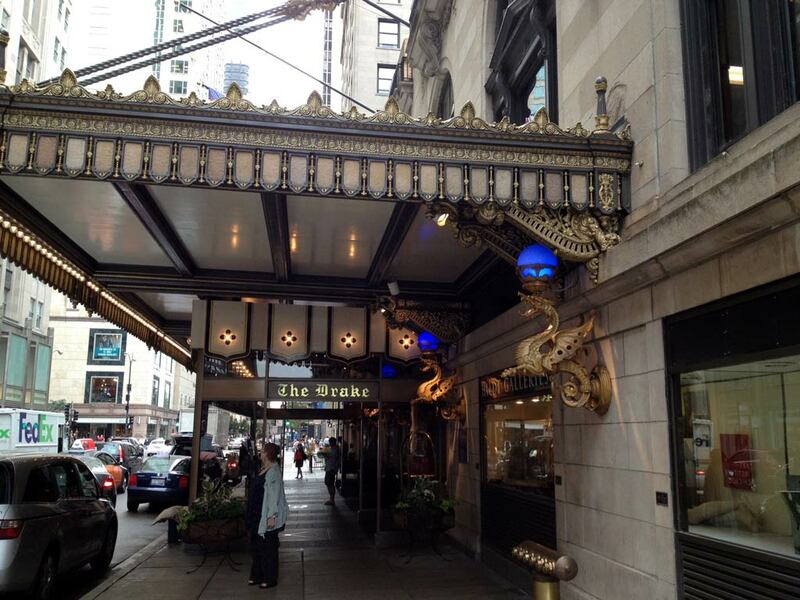 Luckily, the Drake Hotel, situated in the middle of downtown Chicago kept us warm, comfortable and able to concentrate on a more important topic at hand: in-building! 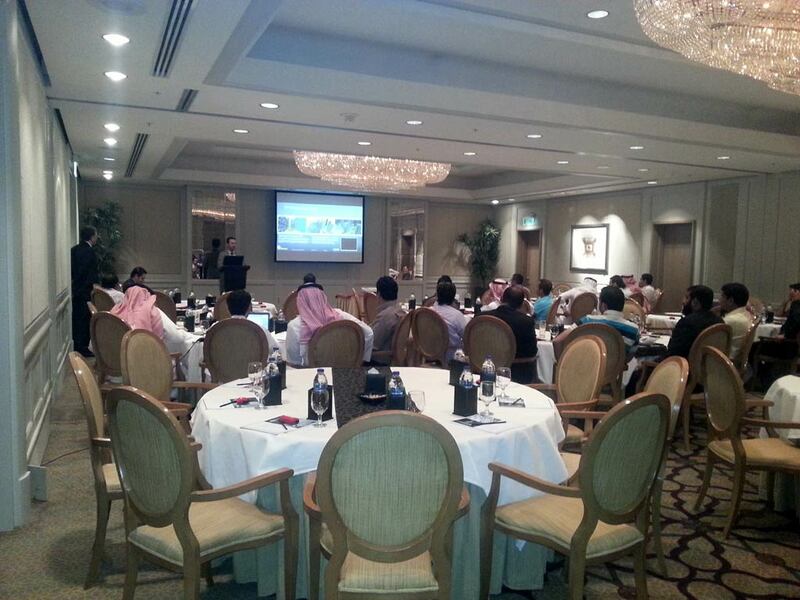 The Four Season Hotel Riyadh at Kingdom Centre played host to our first in-building seminar in Saudi Arabia. We received 37 members of the Saudi in-building ecosystem and were delighted to share our industry knowledge with them as well as hear about their challenges. Our GOT COVERAGE? photo contest ran from May 20 to July 19. We received many great entries featuring RF engineers, babies & kids, pets, landmarks, offices and iBwave software conveniently placed in the background of some shots – not to mention the HAT of course! Thanks to all who participated by sending photos or voting! And now… the winners! Things have changed since this photo was taken in 1904, showcasing NYC’s first subway riders. As iBwave continues to grow with new team members each month, the Montreal HQ office has been running low on space. With that came the decision to move the marketing team to a new suite. When we first saw the place, a few of us needed a bit more convincing to get excited about the move. Joe Dans, host of the Creativity and Technology for Business and Life, invites Vladan Jevremovic PhD, Director of Engineering Solutions at iBwave to discuss his view on the future of the wireless industry. In 2013 we’ve done seminars in Toronto, Paris, Santiago, Panama, Bogota, Rio de Janeiro, Kuala Lumpur, Bangkok, Jakarta, Calgary, Vancouver, Riyadh and Berlin. There was one continent missing in this tour… Africa! So the next stop on our 2013 tour: Johannesburg! 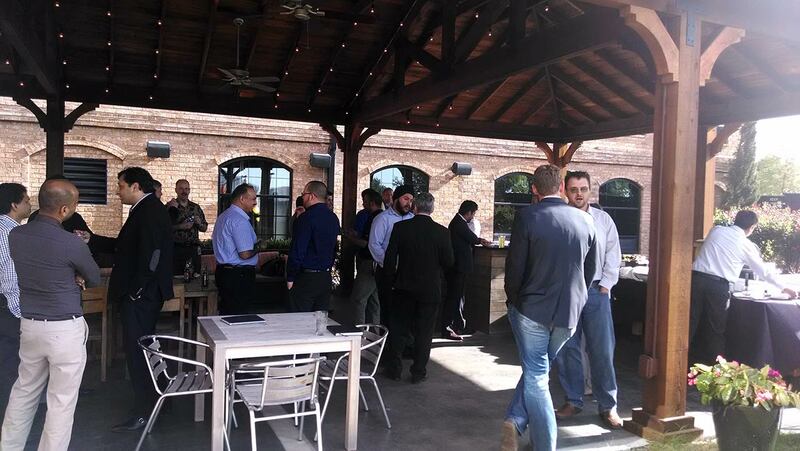 The Northeast DAS & Small Cell Forum hosted its second Boston social last Wednesday evening at Jerry Remy’s rooftop terrace, overlooking historical Fenway Park. Despite the heat, Demetra Georgoudis from the iBwave Inside Sales team was determined to get some photos with the iBwave hat. 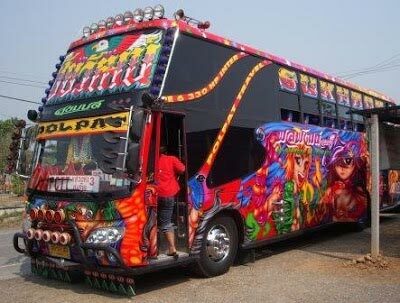 Jakarta, Kuala Lumpur & Bangkok – iBwave Tours Southeast Asia! 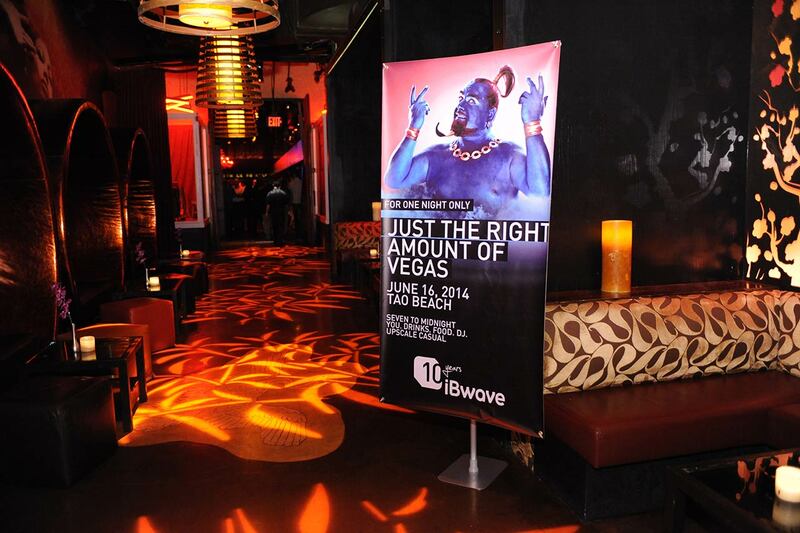 iBwave is on the go again and this time we’re touring Southeast Asia. With in-building seminars in Jakarta, Kuala Lumpur and Bangkok and customer visits in between, the team is keeping busy and learning lots about this interesting and expanding region. 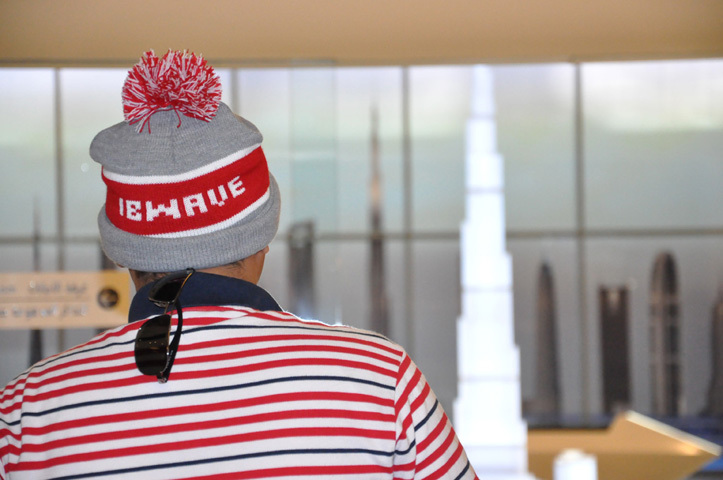 We’re handing out a few iBwave hats along the way too! 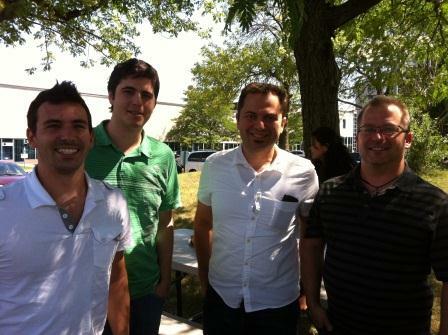 The team consists of Handrianto Soelistyo our Sales Manager for the region; Allan Arguil, Sales Engineer based out of the Philippines; Dominique Gauthier, iBwave’s CTO; and Michel Trudelle, Director of Sales for APAC – all pictured below. We also have Peter Thalmeir, Director of Sales Engineering for EMEA and APAC; Sunder Arumugam, Sales Engineer based out of India and Manon Mayer, Coordinator – pictured further down. 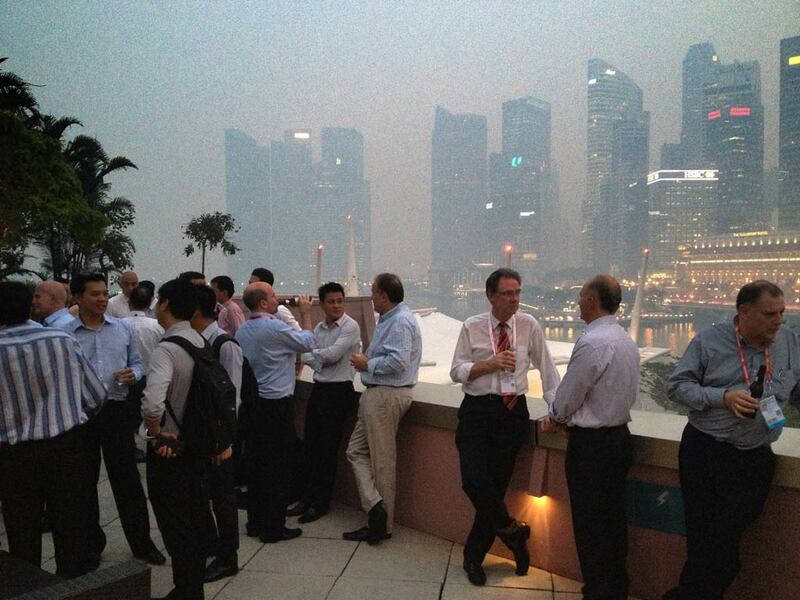 As Singapore played host to the 24th edition of CommunicAsia, we took the opportunity to gather the in-building and telecommunications community for a rooftop networking session. 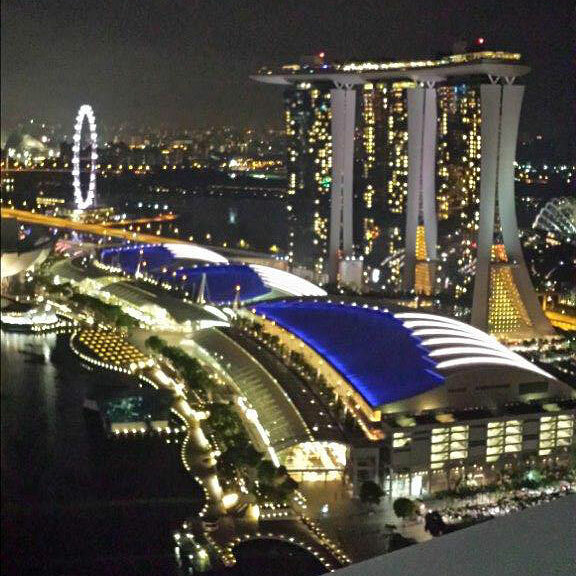 Co-hosted with Axell Wireless and Mentum (now a part of InfoVista), the cocktail was held at the hip Orgo Bar & Lab‘s rooftop terrace, facing the grandiose Marina Bay Sands, the Marina Bay and with views of the Singapore skyline. The iBwave troupe set off for another trip last week – this time across Canada’s prairies, over the Canadian Rockies and right to the beaches of the West coast. The trip began with a meeting at the Sasktel offices in Regina, Saskatchewan. 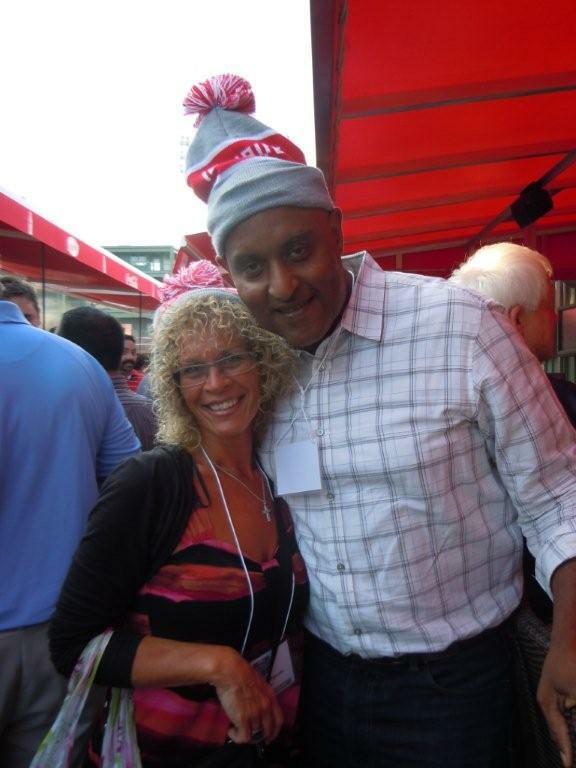 Scott Pereira, iBwave’s Director of Sales Engineering and Julie Marquis, who manages iBwave’s Canadian accounts, stopped to capture the moment in downtown Regina. Distributed antenna systems (DAS) have been one of the fastest-growing types of cellular infrastructure for the past 15 years. 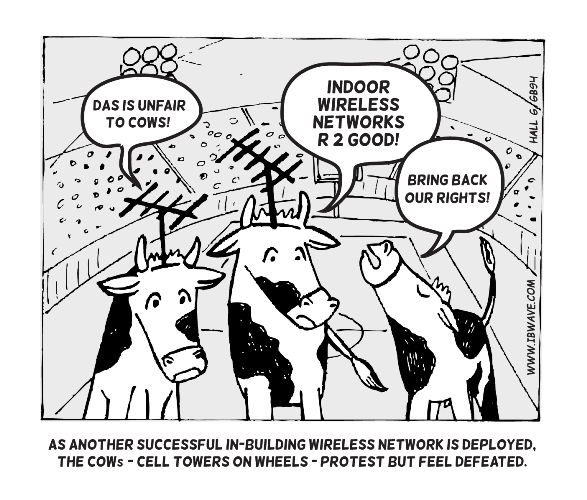 In the late 1990’s, DAS were initially deployed inside public venues to replace less efficient technologies such as Cell on Wheels (COW). One of the earliest DAS deployments was at the Pro Player Stadium in Miami, Florida in 1999 where it was first used during the Orange Bowl and later for Super Bowl XXXIII. As mobile networks and devices have matured, DAS scope and design requirements have evolved from voice-only coverage to network capacity enhancements for voice and data-heavy applications, which require different data rates with different S/N values. With today’s 3G and 4G networks, DAS coverage consists of concentric coverage contours for voice and specific data rates, and as a rule of thumb, the higher the data rate, the smaller the coverage. 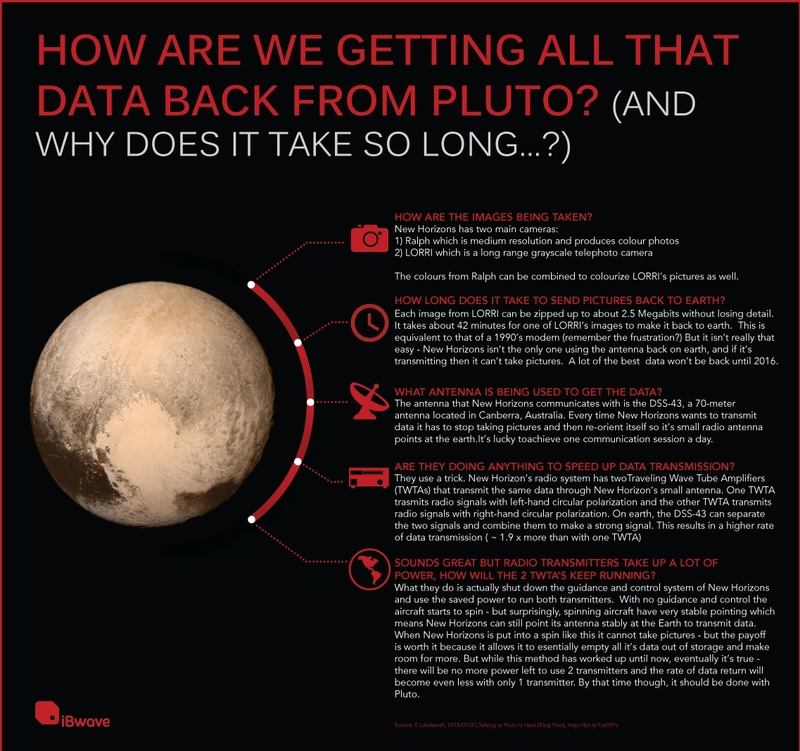 Uplink coverage is still often neglected in the design process because in the past, most of the data intensive traffic such as video streaming occurred on the downlink. But the times are a changing. Nowadays, uplink data traffic at major events such as the Super Bowl is actually higher than the downlink, due to users uploading large amounts of pictures and videos on social networking sites. As 4G uplink data coverage becomes more and more important, it becomes obvious that voice-only RF design requirements that were sufficient for 2G DAS are not sufficient for today’s data demanding users. 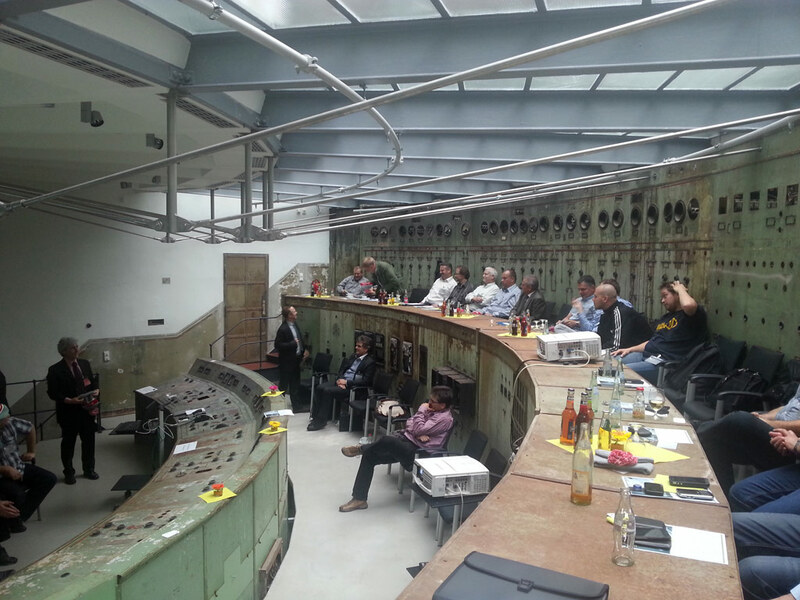 iBwave visited Berlin last week and was delighted to host members of the in-building community from all over Germany for one day of presentations, discussions and networking. Schaltwerk was the meeting point. The great city of New York played host to last week’s In-Building Wireless Conference, hosted by the Northeast DAS & Small Cell Forum. Members of the in-building ecosystem gathered at the beautiful Helen Mills event space in the heart of NYC’s fashion district to get to the core some key vertical markets for the in-building industry. Our annual trip to Las Vegas for the DAS & Small Cells Congress, iBwave User Group and iBwave party of the year was the best yet this time around! This year’s party was at the Hyde Bellagio Nightclub – an awesome venue with front row seats to the Bellagio fountain show. 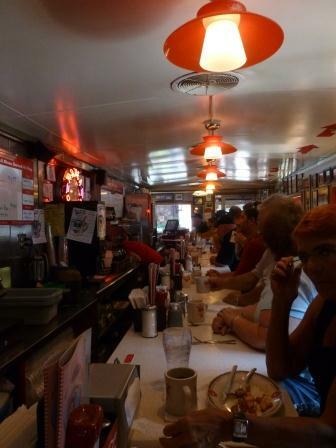 The staff was great, the food was delicious and the company made for a memorable evening. Thanks to all who attended! 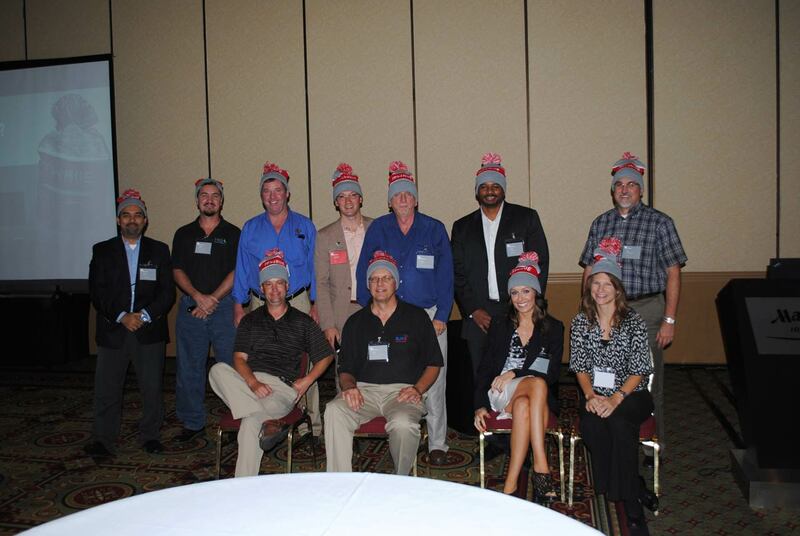 Our annual user group in Las Vegas is always an event to look forward to. We value the occasion to get together with our clients and gather their feedback in order to make our products better. This year’s User Group was no exception. 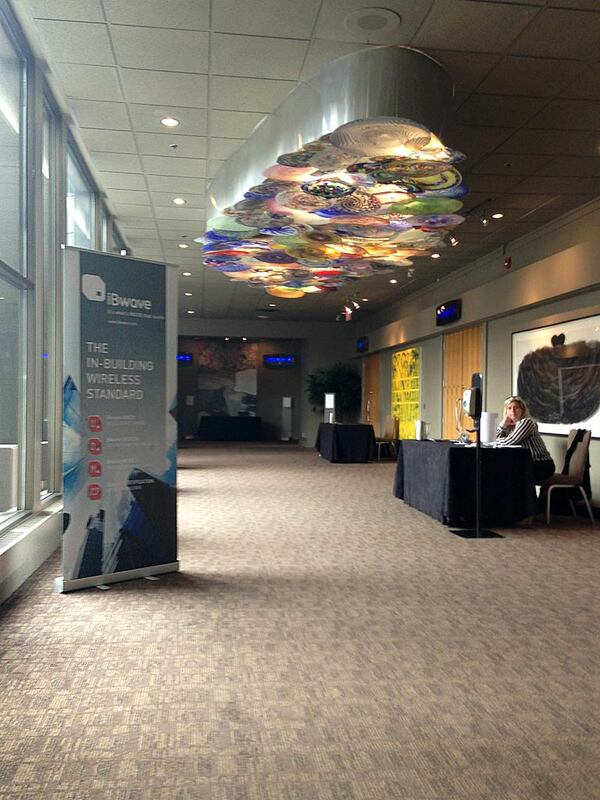 The event started on the pre-conference workshop day for the DAS & Small Cells Congress and took place at the Planet Hollywood, just down the hall from the DAS & Small Cells Congress, making it convenient for many of our clients who attend both events. 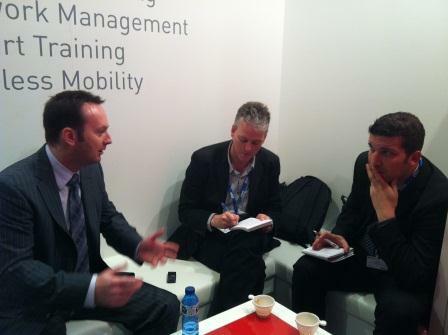 Mobile World Congress may be long gone, but the media coverage from that show is still coming in! In this interview with Telecom TV‘s Ian Scales, iBwave President & CEO Mario Bouchard discusses how iBwave Design simulates a building interior from a radio propagation point of view and then evaluates the different electronic solutions on cost and effectiveness. 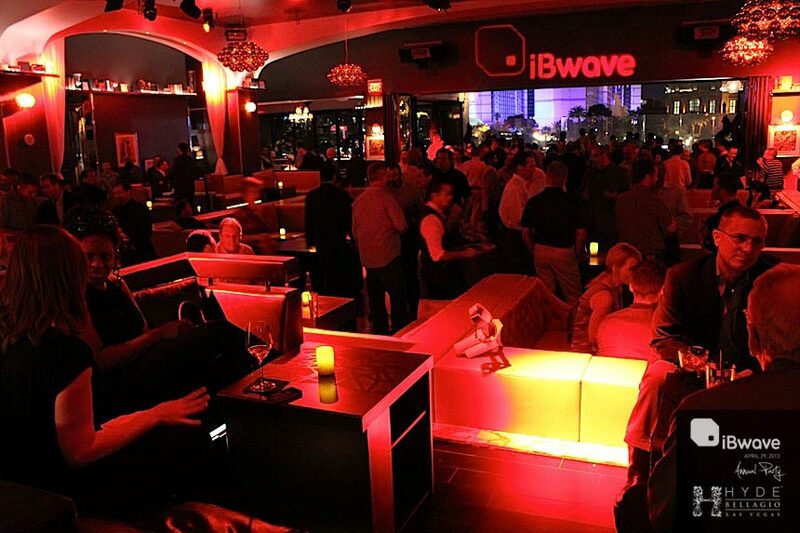 The Day 3 blog post is focusing on last night’s iBwave cocktail, the highlight of the week! Well, for us, at least. We began by distributing iBwave hats to all of the catering staff who wore them the whole night as they tended the bar and passed out hors d’oeuvres. Thanks to our super catering company, Prats Fatjo for the friendly and professional service. 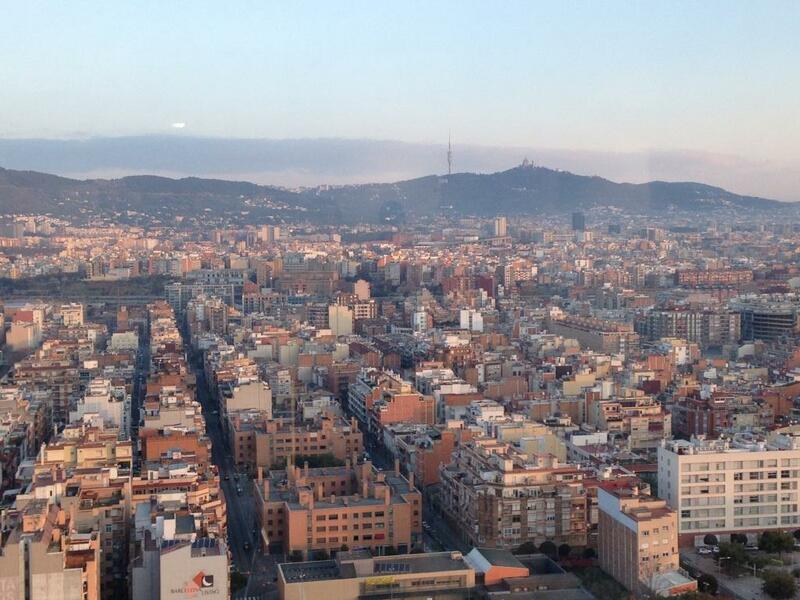 Meet the iBwave MWC Team! Mobile World Congress provides a great platform for industry leaders to share their insight on trends and the future of telecommunications. In these interviews with Jeff Mucci from RCR Wireless News, Mario Bouchard, President and CEO of iBwave, shares his views. iBwave’s América Latina Tour: We’re back! It’s the fourth and final of MWC. The team heads out of iBwave MWC HQ and into the rain toward Fira Gran Via. Almost half the population of the earth now uses mobile communications. A billion mobile subscribers were added in the last 4 years to leave the total standing at 3.2 billion, the 4 billion mark is expected to be passed in 2018 and in the same year the number of connections is expected to pass 10 billion (source: GSMA’s Mobile Economy 2013 Report). 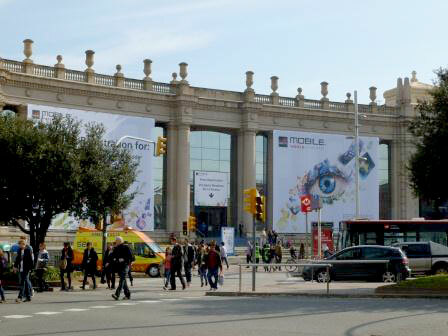 Mobile World Congress is where the global leaders of this massive industry convene aka the biggest wireless event in the world. After many weeks of preparation, we are ready for the big week. In-Building Seminar in Paris on Valentine’s Day, Ooh La La! Ok, let’s set the scene: It’s February 14. In Paris. At an iBwave in-building seminar. Coincidence? I’ll let you decide. 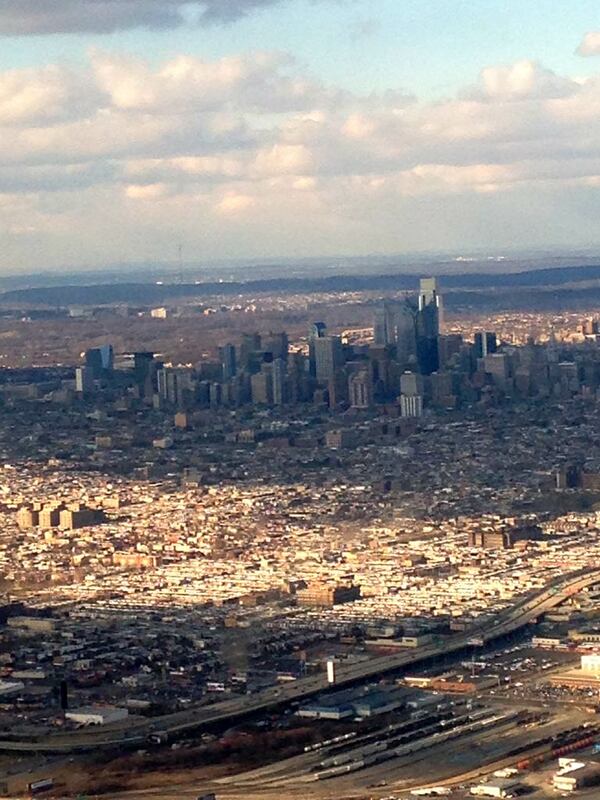 Last Thursday, our friends at the Northeast DAS & Small Cell Forum hosted the Philadelphia in-building community for the first of their famous happy hour socials in this region. The gathering took place at Market Street’s Revolution House. 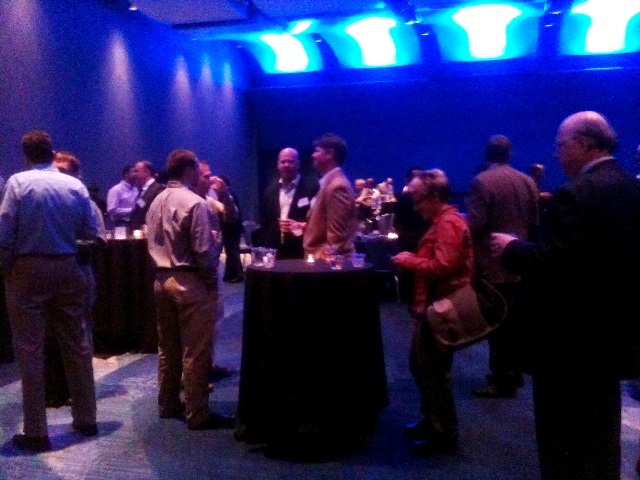 Spirits were high and the conversation flowed into the evening – overall a great gathering for the ecosystem! 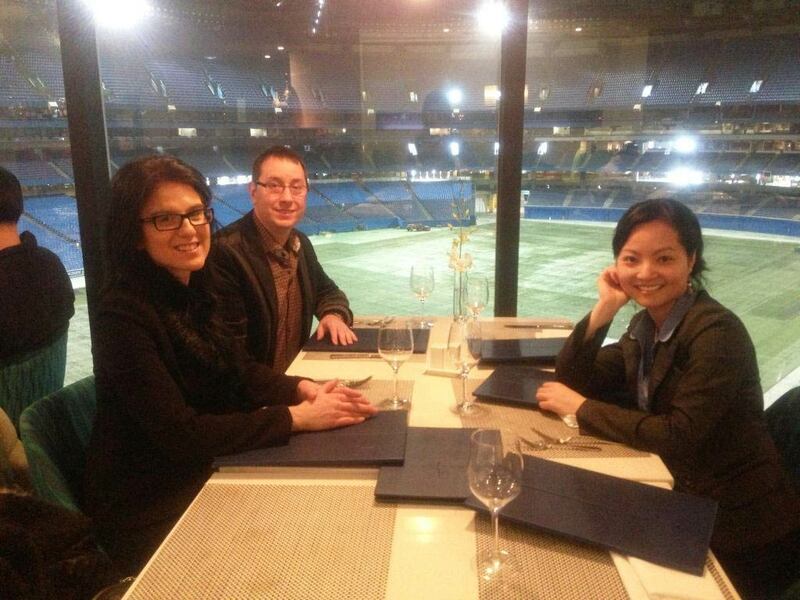 During an epicly cold week in Canada, iBwave hosted some of Toronto’s top in-building professionals for an afternoon seminar and cocktail at the Rogers Centre. Our guests were welcomed into the .400 (get it?) Summit Suite, which is graced with a fantastic view of the stadium. UMTS data rates evolved over the years from 3.6 Mb/s in 2005 (HSPA), to 21.1 Mb/s in 2008 (HSPA+) and finally to 84.4 Mb/s in 2010 (HSPA++). 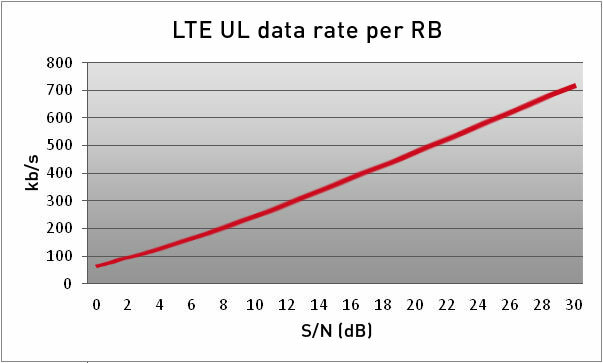 The 84.4 Mb/s data rate is very similar to data rates that can be achieved using LTE technology under the same circumstances (10 MHz RF channel, 2×2 MIMO). 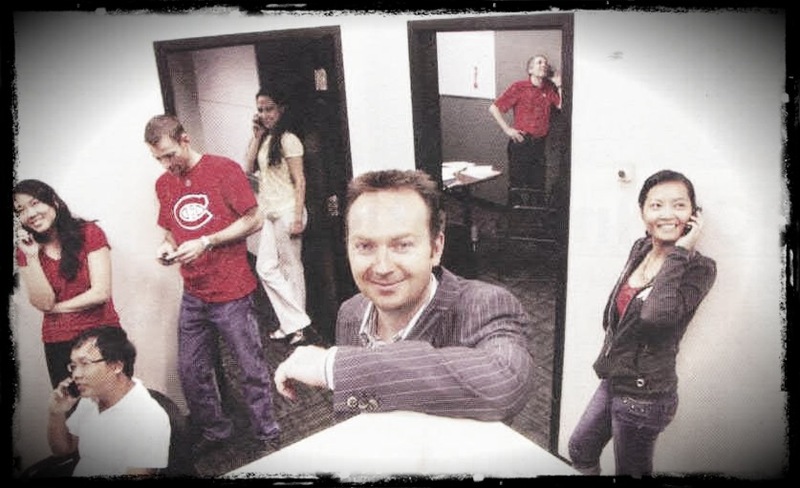 When in 2009 Verizon Wireless announced the plan to migrate to 3GPP and deploy LTE in 2010, a lively debate ensued among the incumbent North American 3GPP operators. The topic was whether higher data rates should be achieved via migration to HSPA+ and HSPA++, or if imminent migration to LTE is warranted. Nous étions ravis de recevoir l’écosystème in-building de Montréal hier pour notre évènement célébrant le début du temps des fêtes. L’après midi a débuté avec des présentations sur l’évolution des produits iBwave, incluant la modélisation et la prédiction dans iBwave Design. Un panel “rapid fire” sur le futur de l’industrie in-building canadien a suivi – avec des discussions très intéressantes ! Puis, nous avons procédé au tirage de nos 10 premières tuques pour notre nouvelle initiative GOT COVERAGE? Finalement, le groupe a profité d’un 5 à 7. Merci à tous ceux qui étaient présents ! We were delighted to host Montreal’s in-building ecosystem yesterday for our event highlighting the beginning of the holiday season. The afternoon kicked off with some presentations on the iBwave product suite evolution, including modeling and prediction in iBwave Design. A “rapid fire” panel ensued, with questions on the future of the Canadian in-building industry and some very interesting discussions! We then did a draw for the first 10 hats of our new GOT COVERAGE? initiative. Finally, the group took advantage of a cocktail hour. Thanks to all who were present! Last nights 4G In-Building Cocktail was the place to be for the in-building community. 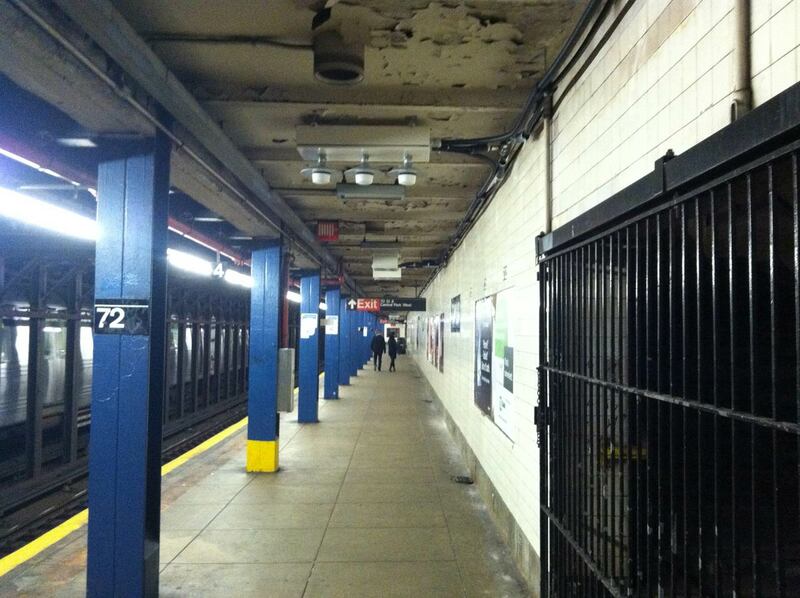 Sandy tried to ruin it by grounding everyone on the east coast but she didnt succeed! We had a good turnout and everyone enjoyed themselves. 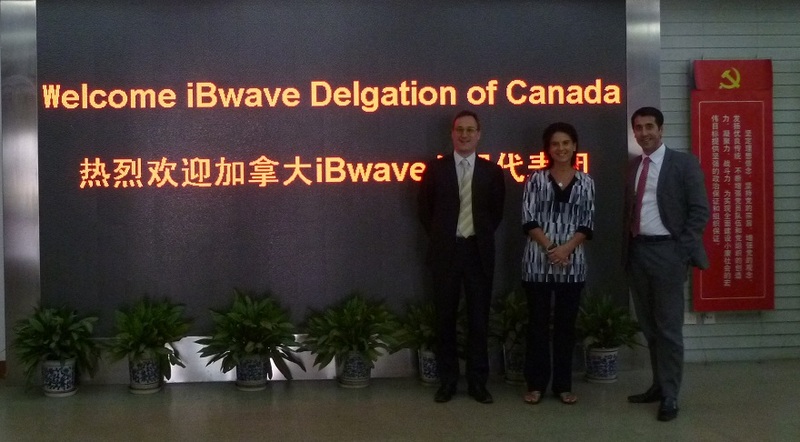 iBwave Takes China by Storm! Ni hao! iBwave is in China this week! There were some new faces walking the halls of iBwave headquarters in late August as our Training and Certification team hosted a Level 2 Certification session in the office: an iBwave first! RF Professionals from some of Canada's tier-1 wireless operators, came to continue their in-building design education and specifically learn about iBwave Design's modules: Propagation, Optimization and Collection. 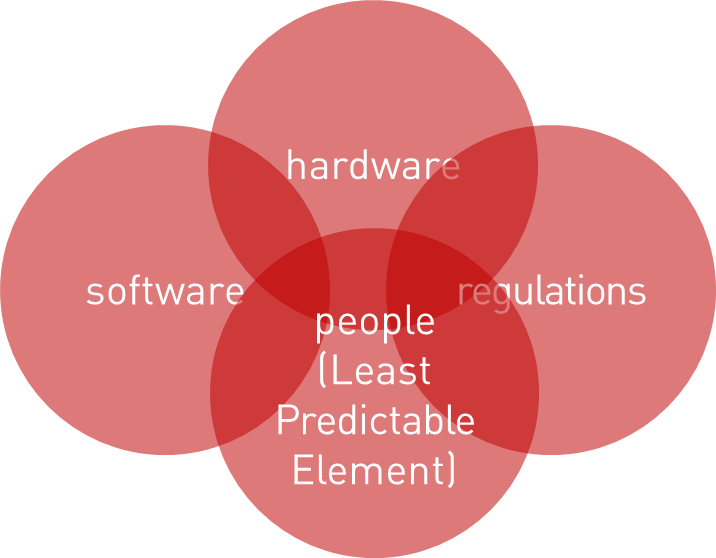 What were the main challenges of designing the wireless networks London 2012? Find out in this new article by Above Ground Level Magazine, featuring iBwave’s CTO, Dominique Gauthier. After the great success of the NYC DAS & Small Cell Forum Kick-off party in June, we were excited to hear that a similar event was being held in Boston on August 29. 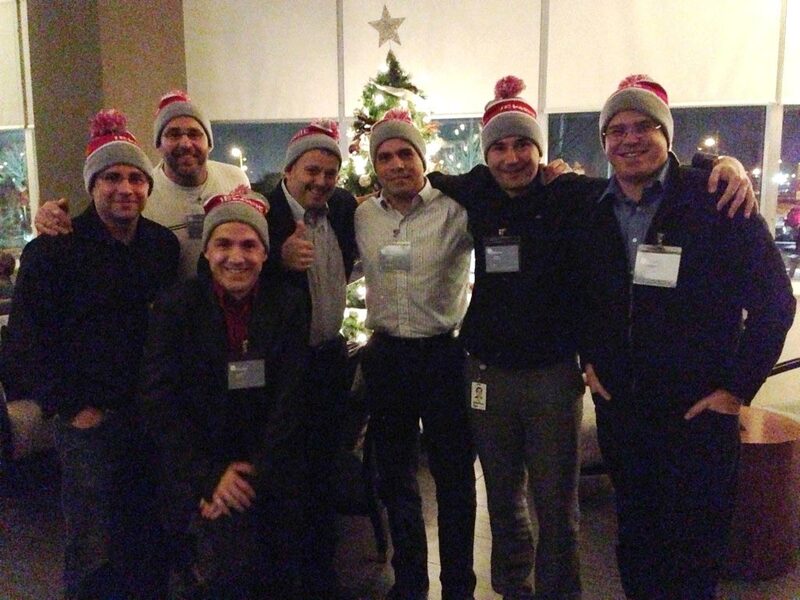 So excited that five people from iBwave decided to attend, three of which are based in Montreal. Three iBwavers traveling to Boston together… naturally, that spells “road trip”. So Mario Bouchard, President and CEO; Nathalie Robitaille, Vice-President of Marketing and Marc-Antoine Lamontagne, Product Manager got some snacks together, made a few road worthy playlists and brushed up on their car games for their drive. Mario Bouchard, President and CEO at iBwave and Simon Saunders, Founder of Real Wireless Consultancy recently sat down with Rachel Ramsey of TMCnet to discuss the challenges of designing wireless networks for high profile events such as London 2012. Read the full article here! The Super Bowl, the Euro Cup, London 2012: the list of global sporting events goes on. These events and the venues that host them are facing interesting challenges in order to support the customer demand for wireless data capacity. 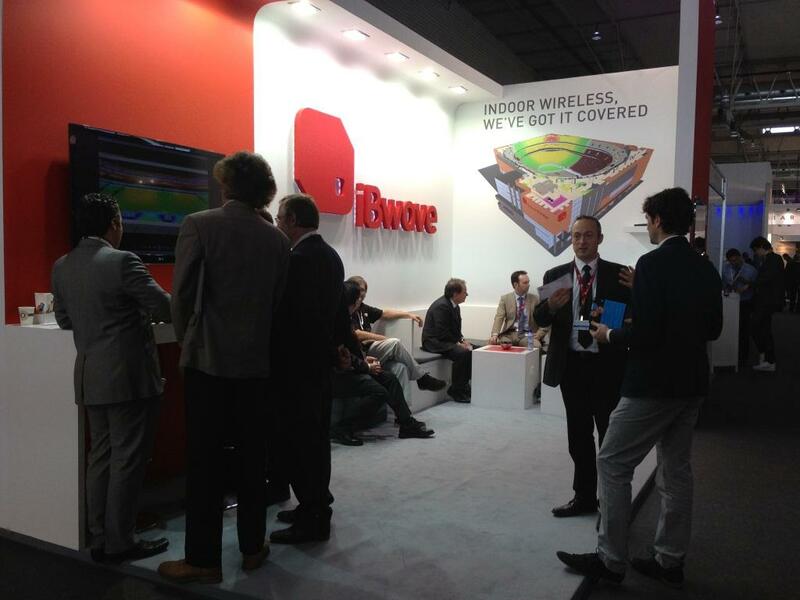 iBwave hosted an in-building seminar focused on stadium design today in Amsterdam. 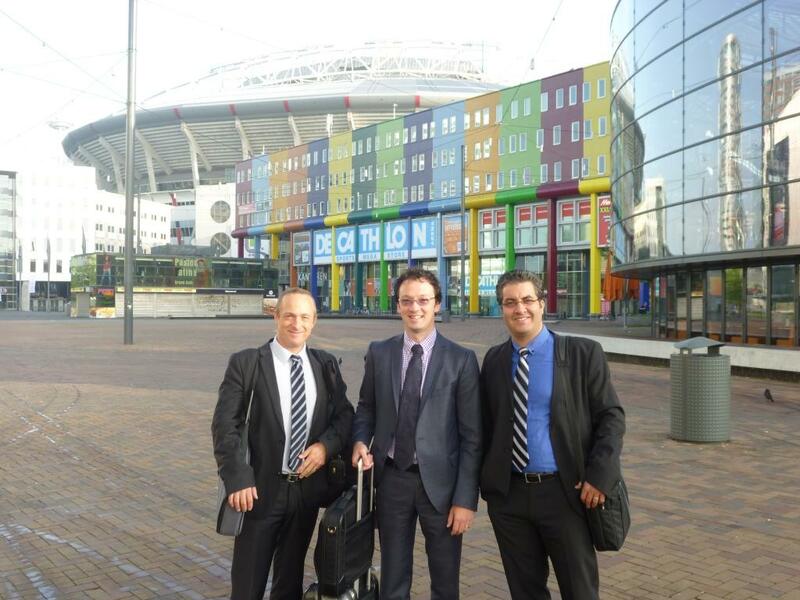 And what better place to host a seminar on stadiums than in the colossal Amsterdam Arena! We were set up in the arena’s Panorama Lounge, an exclusive box featuring a 180 degree view of the stadium, where we received 35 of our industry peers for the day. iBwave HQ Gets In-Building Coverage, at Last! The newly formed NYC DAS & Small Cell Forum brought together the NYC area’s in-building industry professionals last night at their official kick off social. 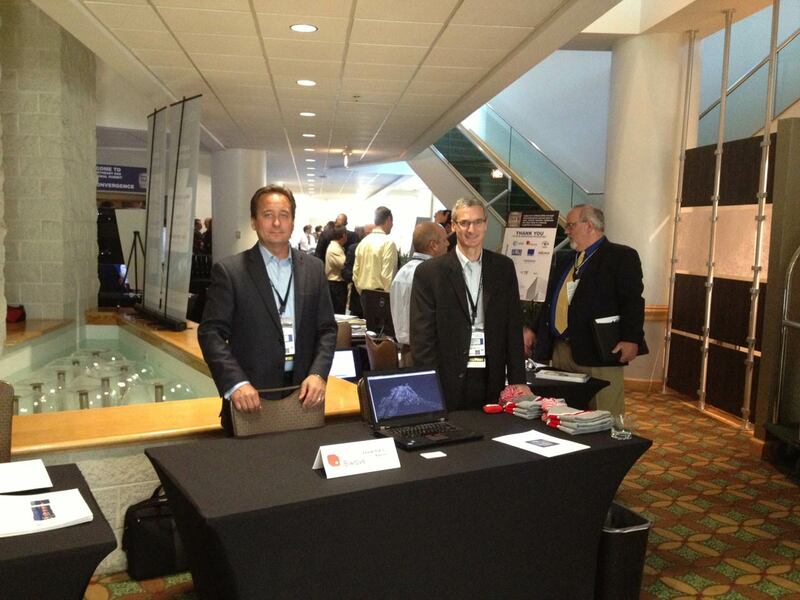 OEM’s, SI’s and Operators were all well represented and iBwave was there too. 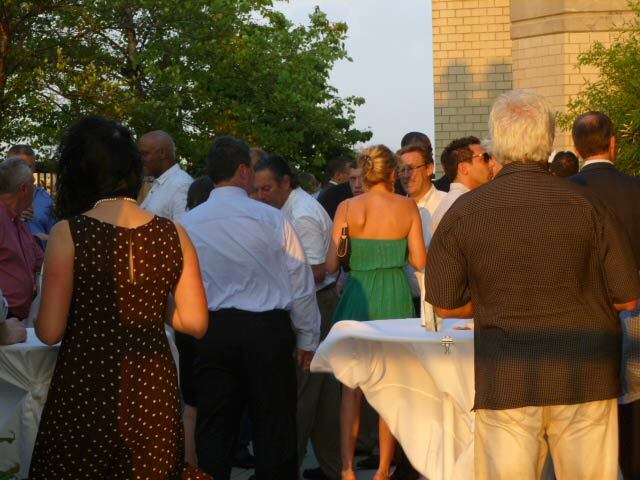 The rooftop cocktail, held at the iconic 280 Park Avenue South, was a great opportunity for the forum’s founding members to network while taking in the Manhattan skyline. Spotted! In-Building Action in Las Vegas! What a week! 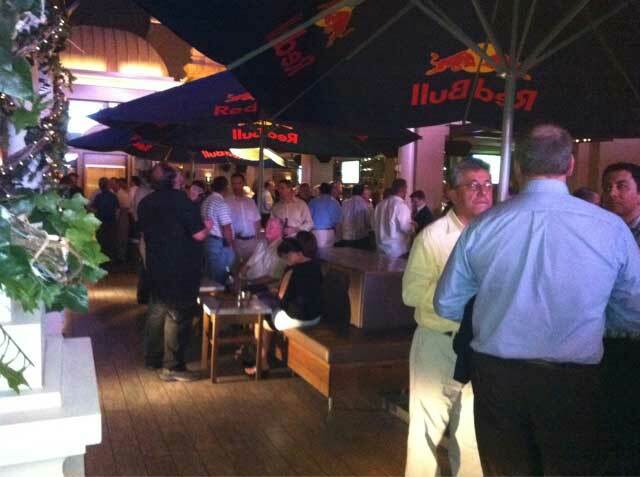 We started with the DAS Congress on Monday, Tuesday and Wednesday of last week, continuing with our iBwave Party on Wednesday night and followed by our second annual iBwave User Group on Thursday. It’s safe to say that some sleep was in order after this week in Las Vegas. We hosted our second annual Las Vegas party last night at the fabulous Château South Terrace, under the bright lights of the Eiffel Tower. With 150 fine-looking guests, the party was at full capacity early in the night, which set a great mood early on. The weather was hot but the dessert breeze kept guests relaxed. The comfort food menu proved to be a big hit, with Château's special Mac n Cheese being the talk of the buffet table. The drinks were flowing, as were the conversations. During conversation breaks, guests enjoyed the jazzy music, strip views and the Bellagio fountain show. 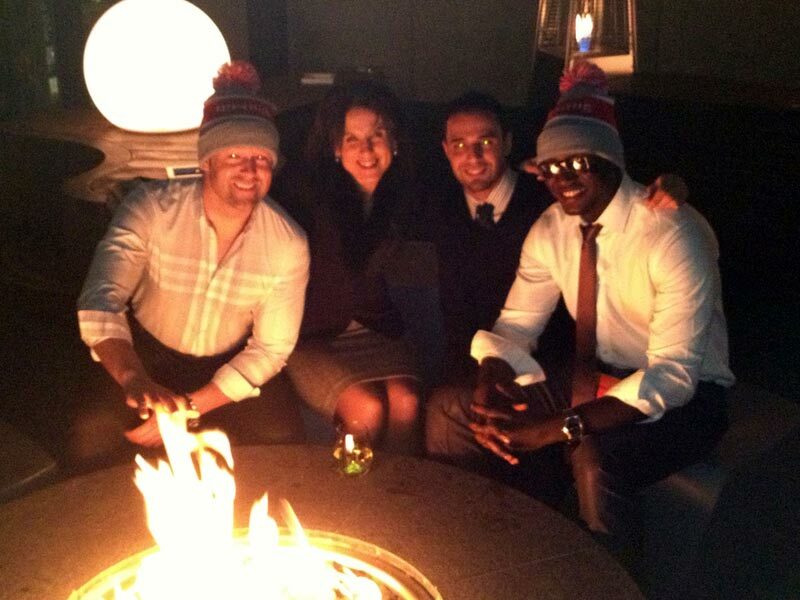 Overall, the party was a big success and we can't wait to host the next one. We just hope everyone saved some energy for today's User Group. Stay tuned for more on that. Insight from DAS in Action – DAS, Small Cells, Wi-Fi, Dolphins and More! It's time for Wi-Fi and DAS co-existence – that was the popular consensus during the two-day DAS in Action forum that took place from April 10 to 11 in Atlanta, Georgia. The DAS Forum organizers say this year's attendance increased by 85 percent, a result attributed to the growing role distributed antenna systems play in North American network deployments. 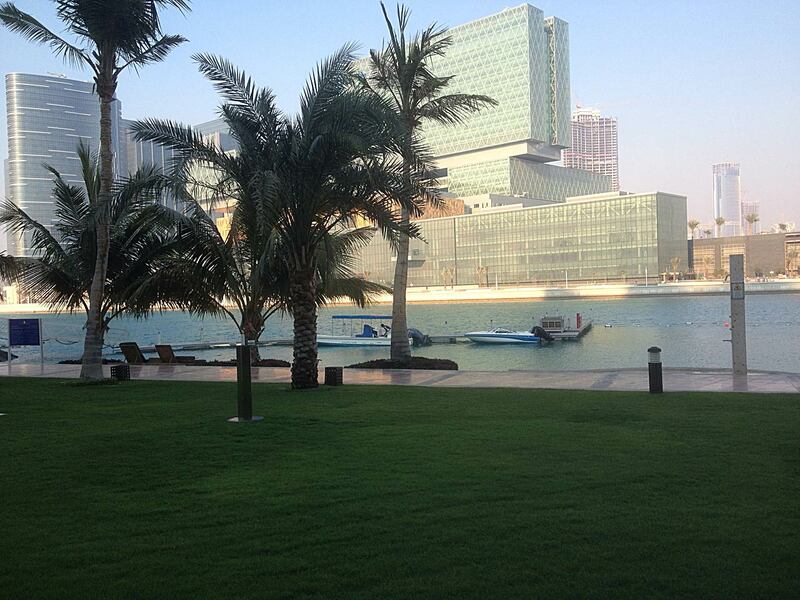 Call it an event that gathered some of the UAE’s leading in-building wireless experts. 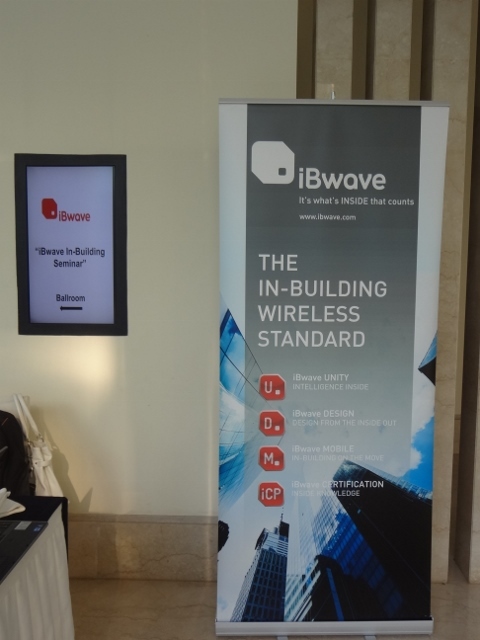 du and iBwave collaboratively hosted an in-building wireless seminar on March 29, 2012 at the classy The Address Dubai Mall hotel. ¡Hola from Mexico! 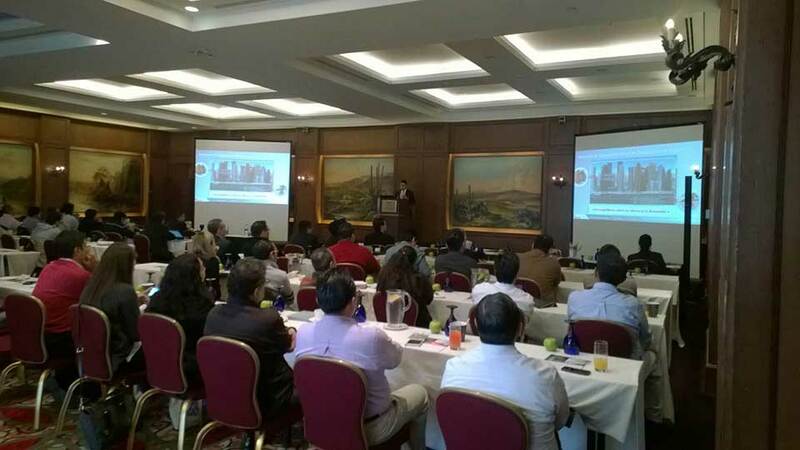 Our iBwave In-Building Seminar held in Mexico City on Tuesday, March 20th was in full swing at the JW Marriott Hotel. 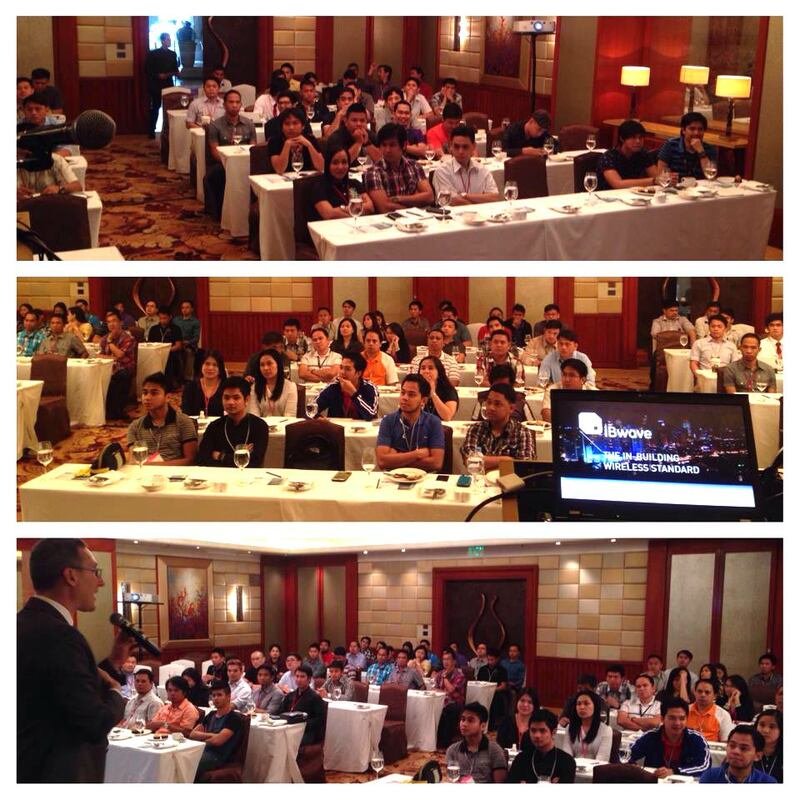 This was our first seminar in the region and interestingly enough, our largest one till date. Everyone requires wireless signal indoors, but providing this essential service is complex. iBwave helps the ecosystem complete tasks in a very basic way. Care for some Cava anyone? 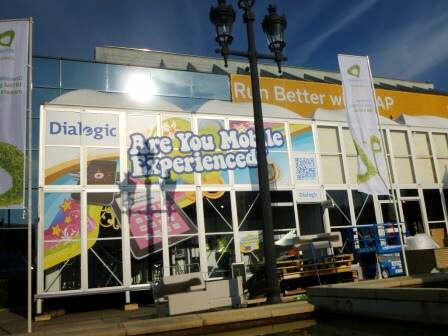 That’s what many MWC-goers, including the team from iBwave, had on their minds after spending a busy four days in Barcelona, browsing the numerous aisles filled with new apps, tablets and accessories at Mobile World Congress. This year, the international event brought in a record 67,000 visitors, and with it, some great opportunities for networking with industry peers. Mobile World Congress is the world’s largest gathering in the mobile industry, globally attracting leading mobile operators, equipment providers, wireless application developers, internet companies, entertainment organizations, and of course, media. 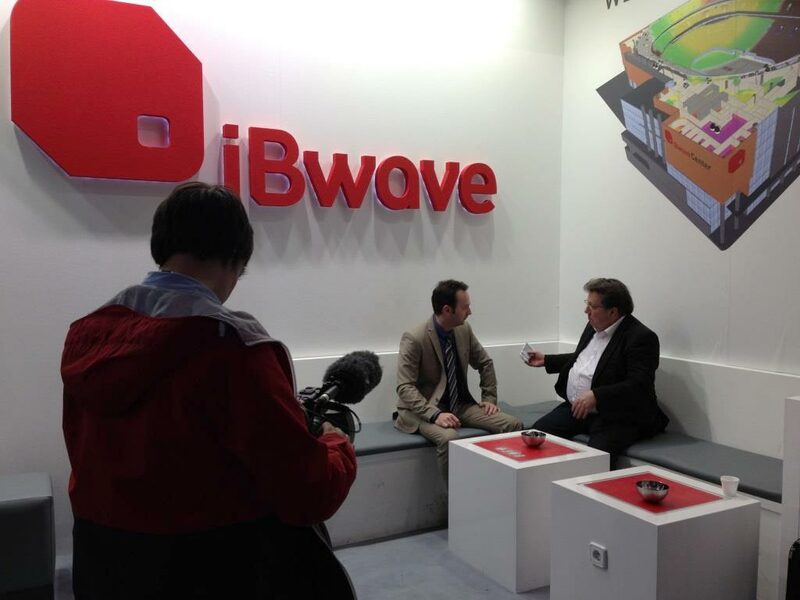 Thank you to the journalists who dropped by our booth, to learn a little bit more about iBwave. Here are some snapshots from interviews done with iBwave’s CEO, Mario Bouchard. 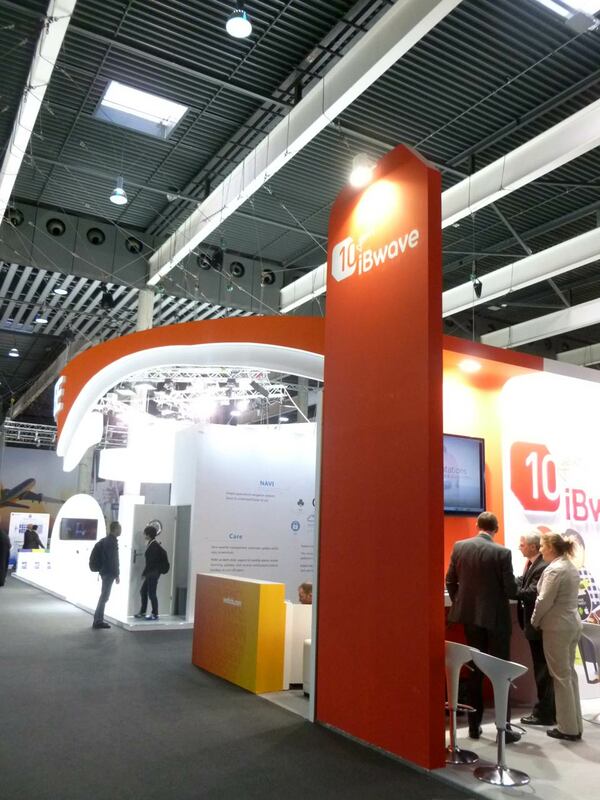 Mobile World Congress visitors got a sneak peak of iBwave’s end of March release — iBwave Mobile. Our Global Sales Engineering Director, Scott Pereira, wowed the audience with a live demo of the upcoming launch. 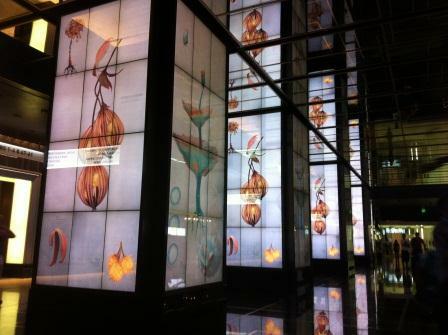 As Mobile World Congress 2012 came to a close, the final exhibitions only got more interesting! While we walked the aisles, innovation could be seen everywhere. New apps presented by Intel and Samsung were a must-see. 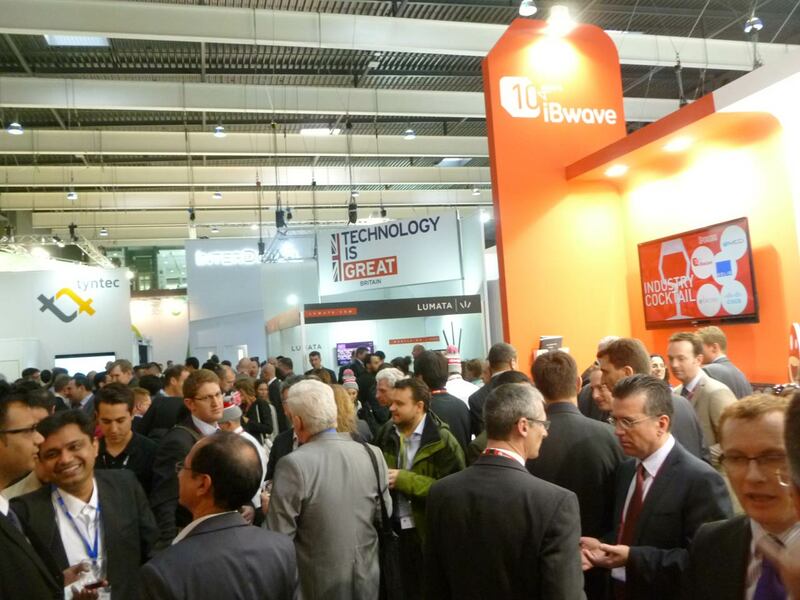 iBwave Cocktail at Mobile World Congress 2012: Good Times! 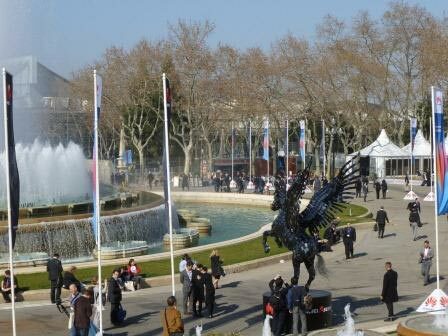 Hosted on Day 3 of MWC, our cocktail attracted nearly 200 visitors – more than double what we anticipated! Thank you to all those who visited our booth and a special mention to Simon Saunders from Real Wireless who added some pizazz on wheels. 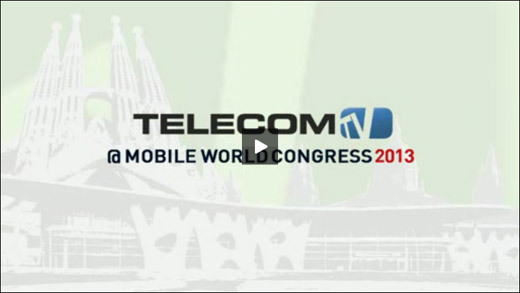 Ascom demonstrates at Mobile World Congress 2012 how their collection tools (mobile network testing solutions), Ascom TEMS, enables seamless integration in iBwave Design flagship software. 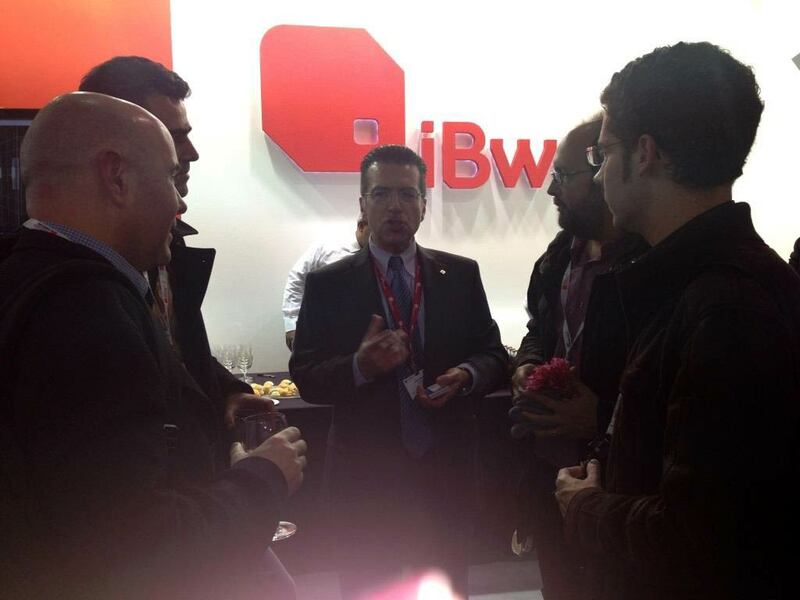 Spotted: Prince Felipe of Spain Arrives at Mobile World Congress 2012! With the highest authorities of the country of Spain, we caught the arrival of Prince Felipe de Borbon at the Mobile World Congress. 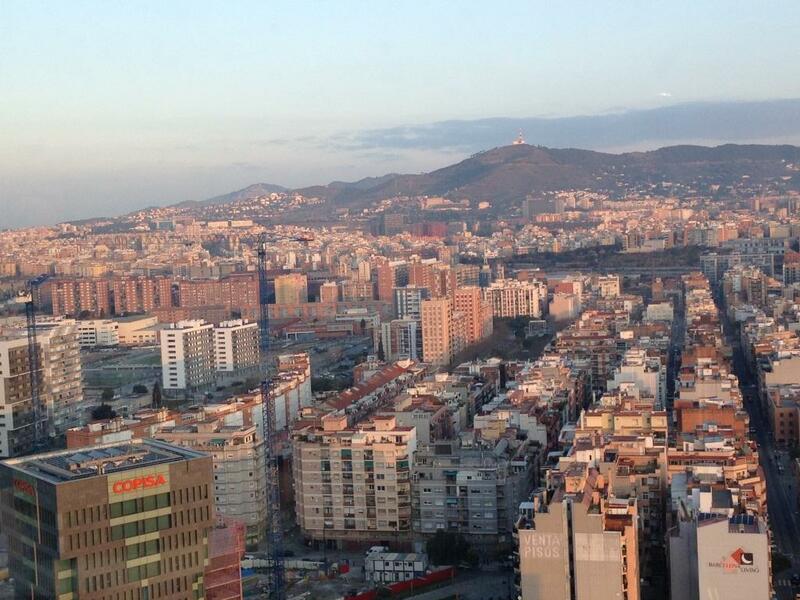 Our First Day at Mobile World Congress – Meet the Team! 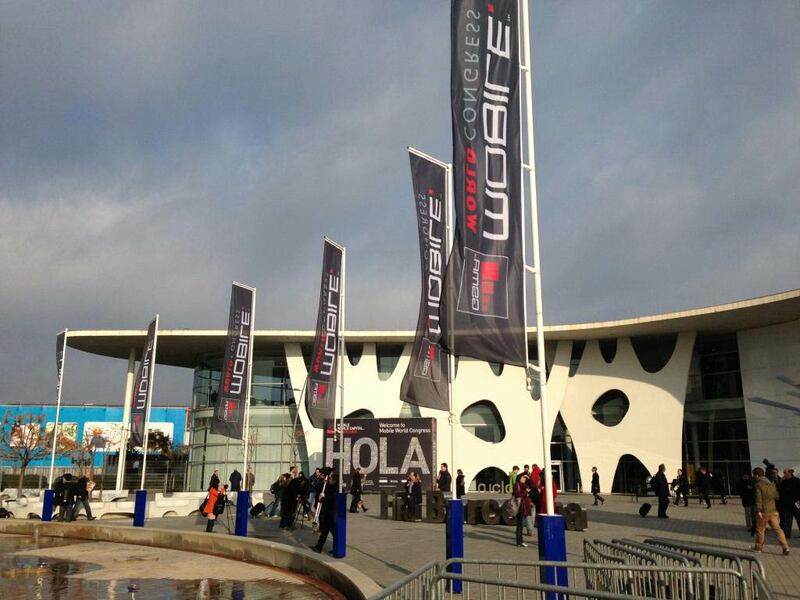 iBwave’s first day at Mobile World Congress 2012 (February 27, 2012). Millions of viewers tuned in to last night’s Super Bowl, which was hosted in Indianapolis this year. But there were also 70,000 fans inside the Lucas Oil Stadium, many of whom were equipped with smartphones, wanting the ultimate sporting experience by streaming live video, making instant updates on social media, using apps for player stats, venue maps, and much more. Traffic classification, or differentiation, means creating different traffic groups based on the service quality needs of the generated traffic. Traffic classification is mainly used for charging purposes. Network providers want to charge users based on the service they are consuming from their networks. Users usually subscribe to the traffic class(es) through their service level agreement (SLA) made at the time of their service subscription.